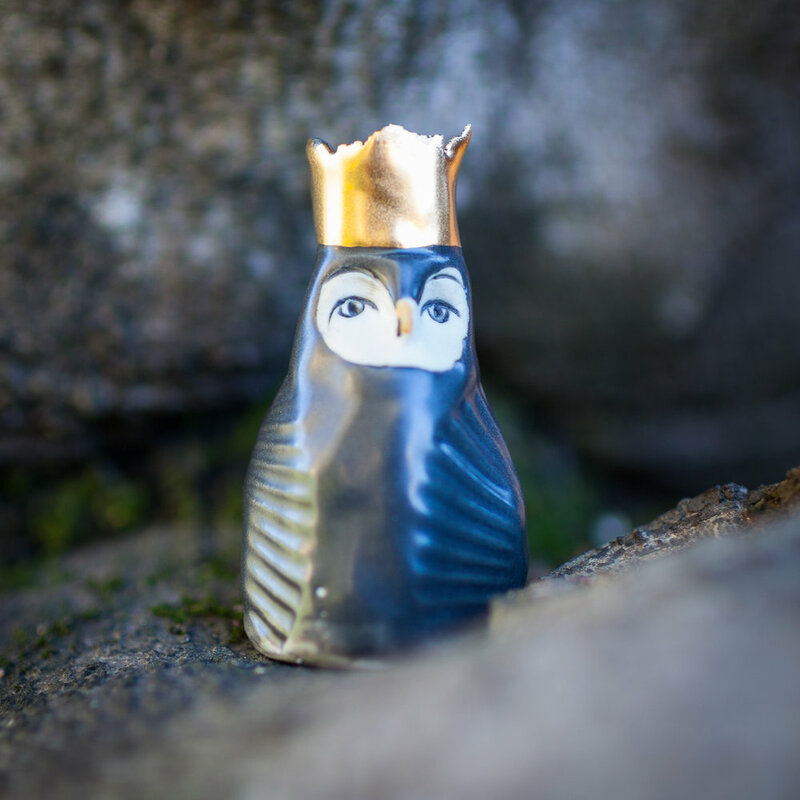 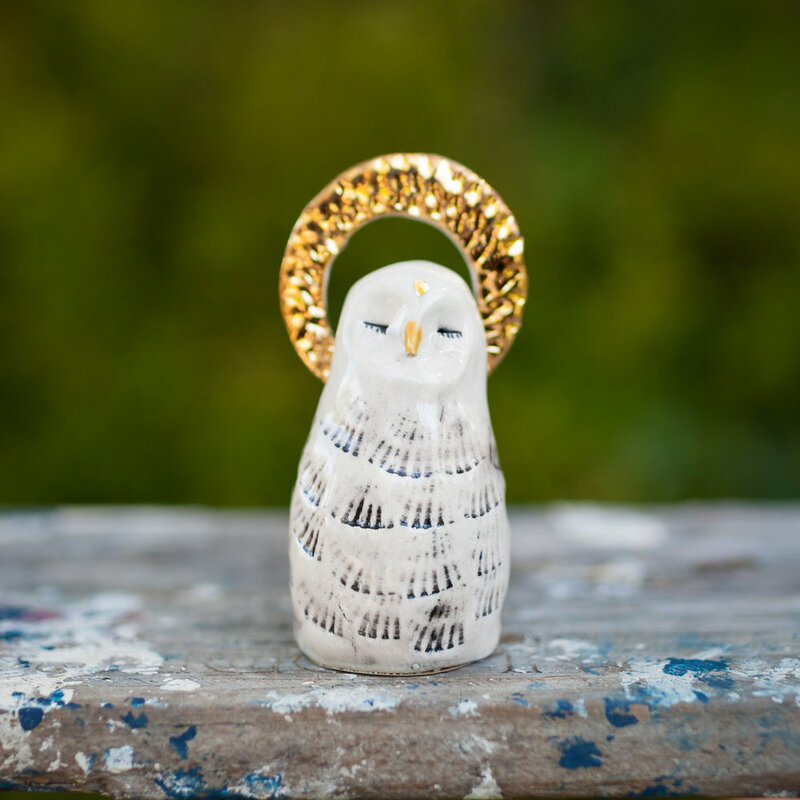 Sacred objects have held a place of importance across all cultures throughout history. 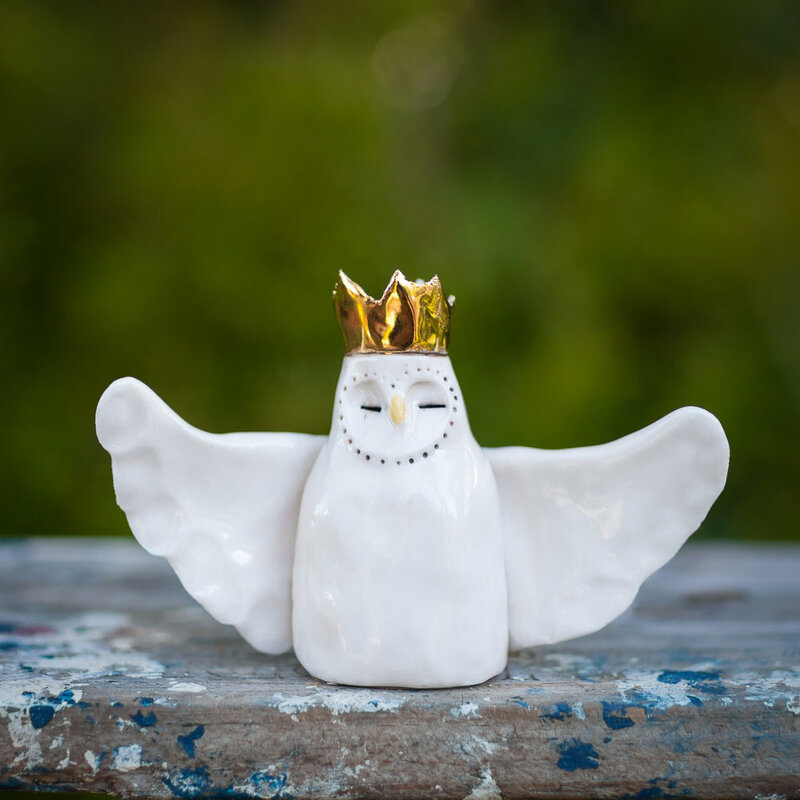 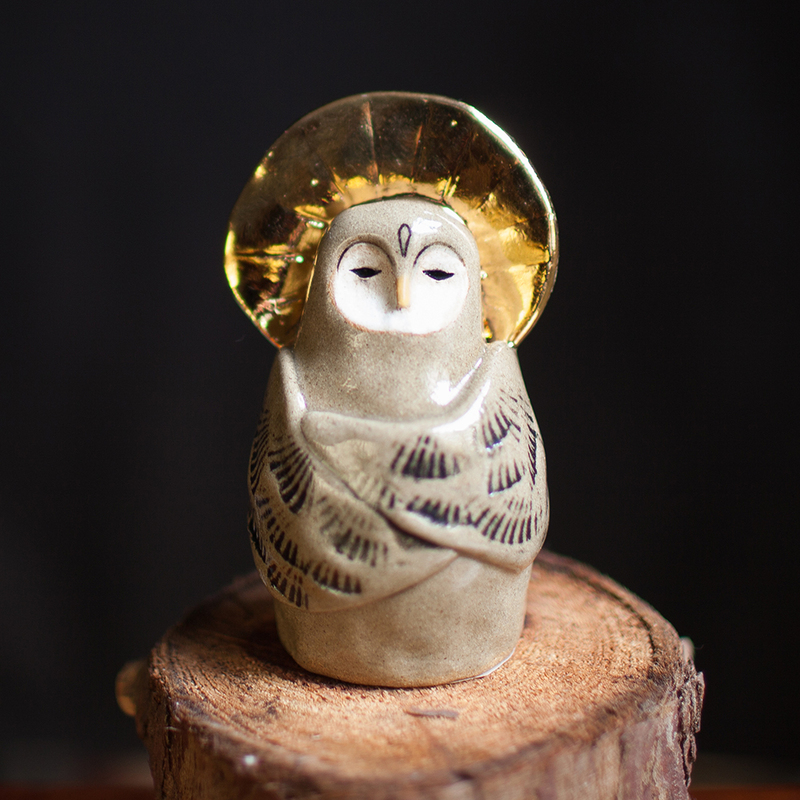 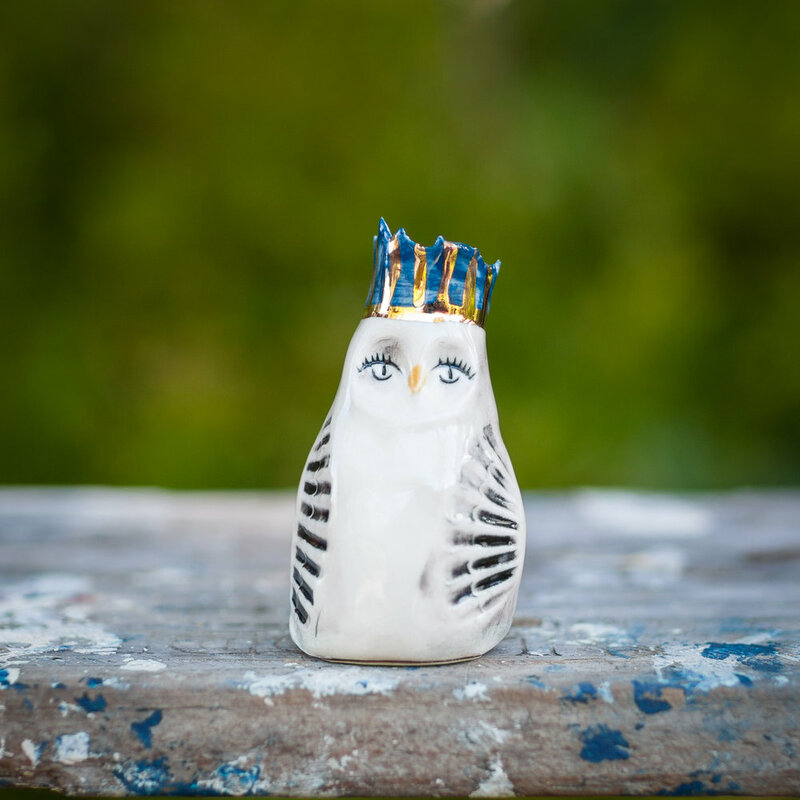 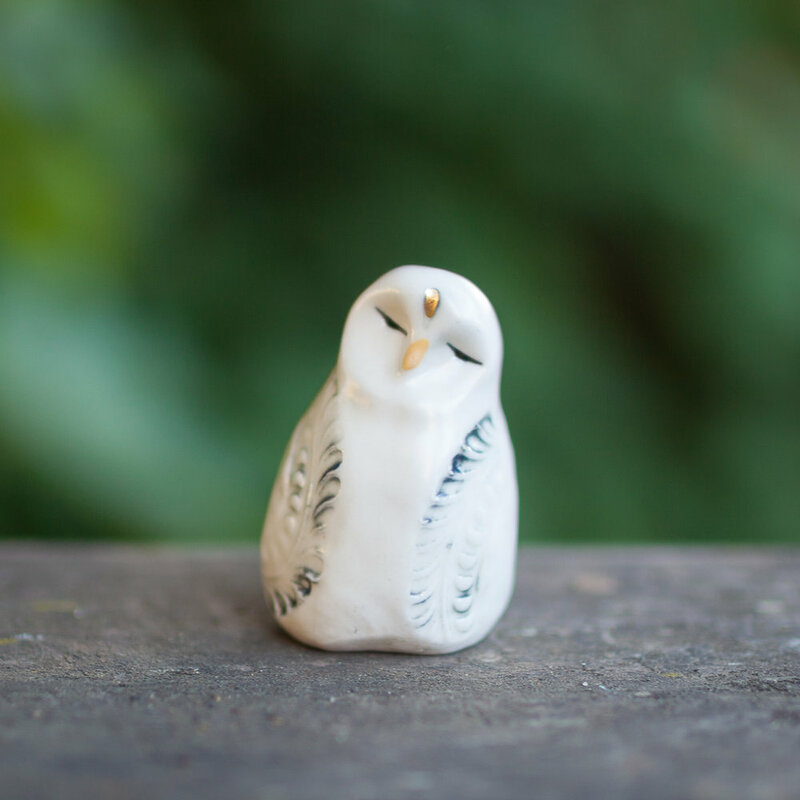 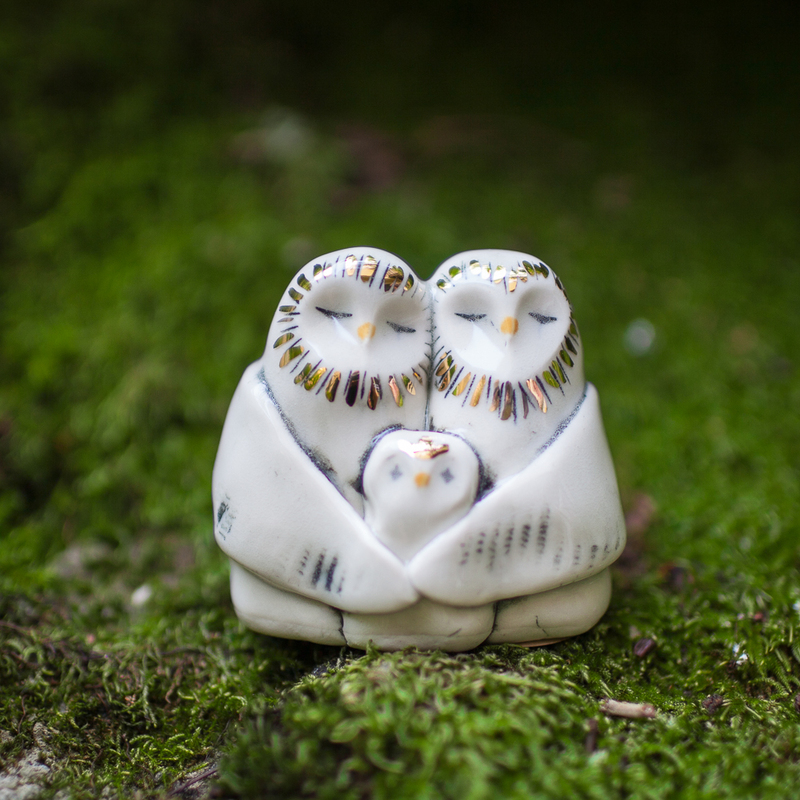 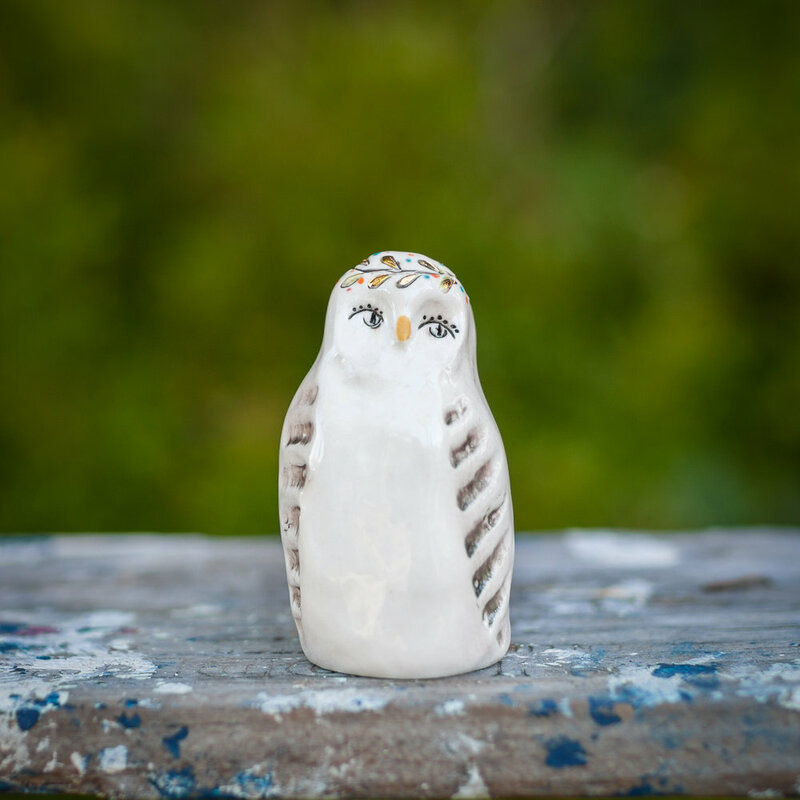 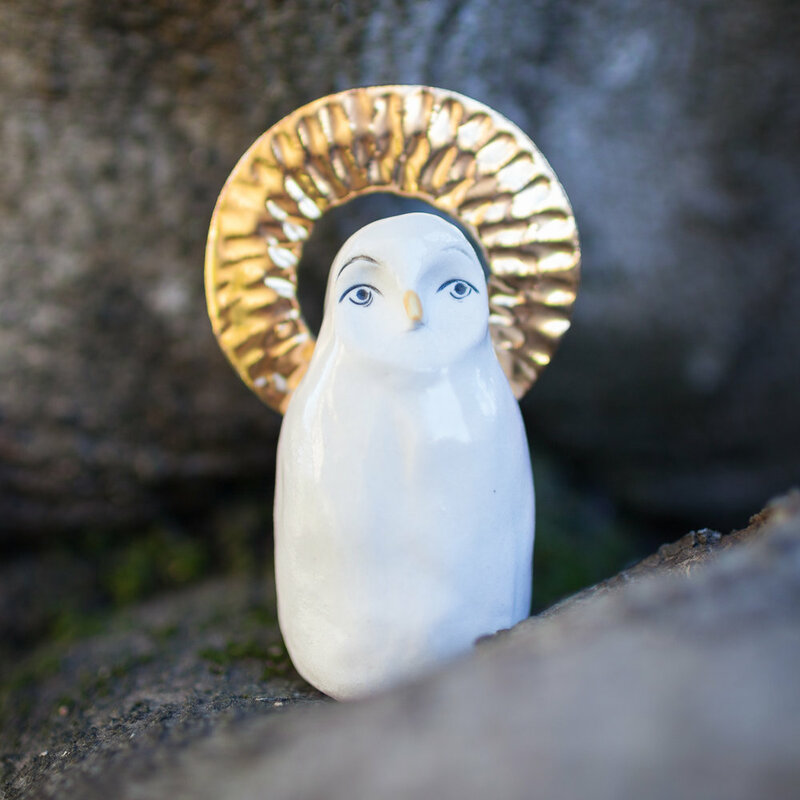 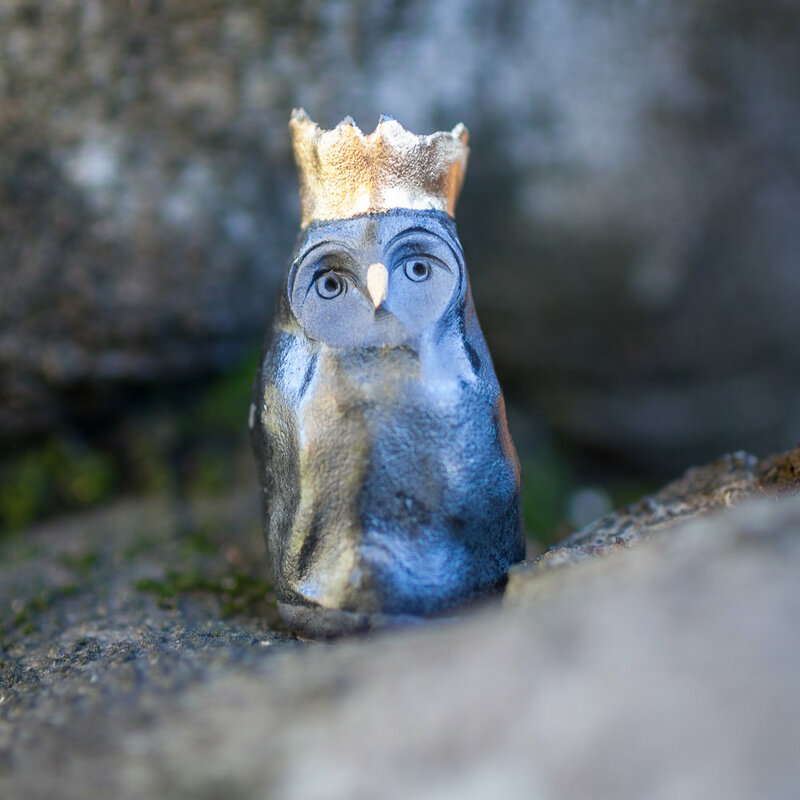 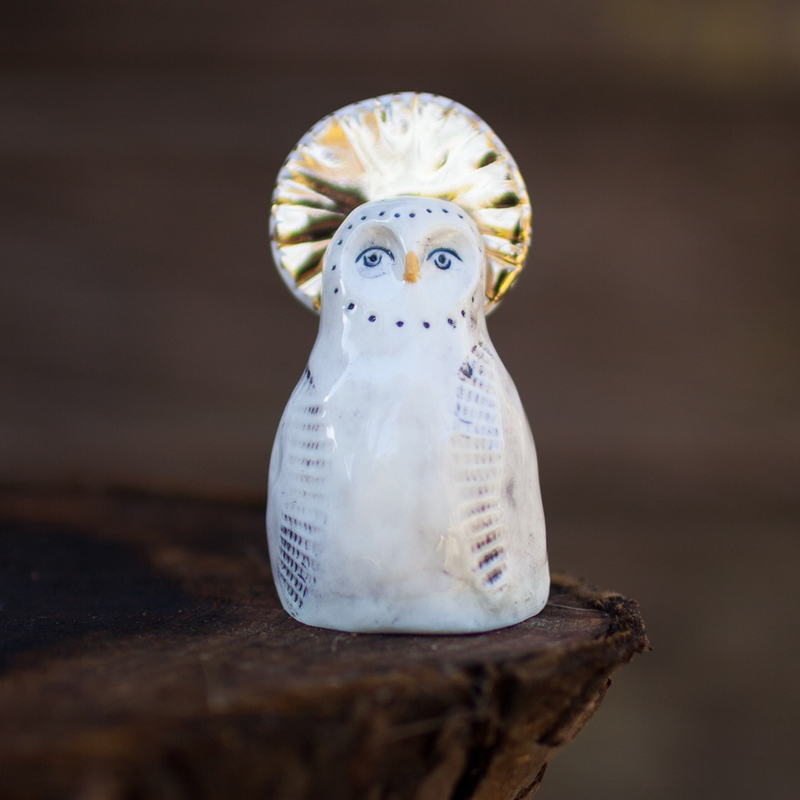 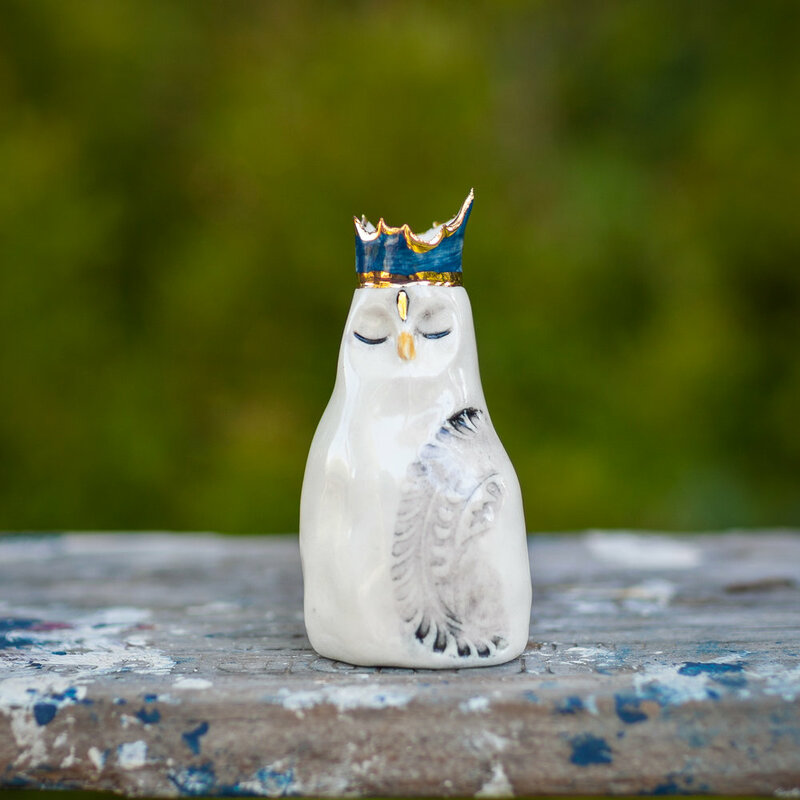 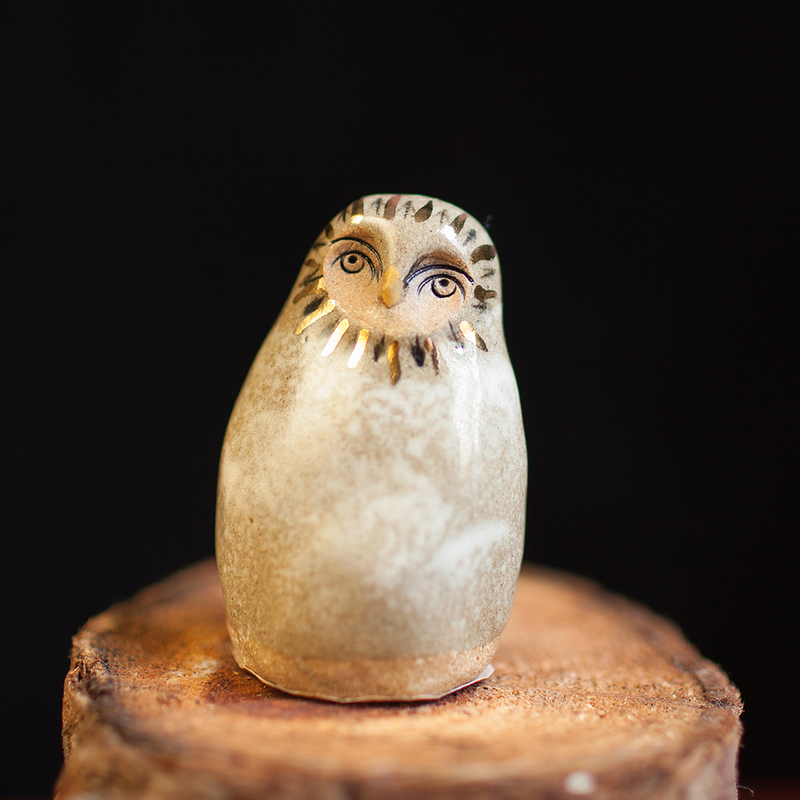 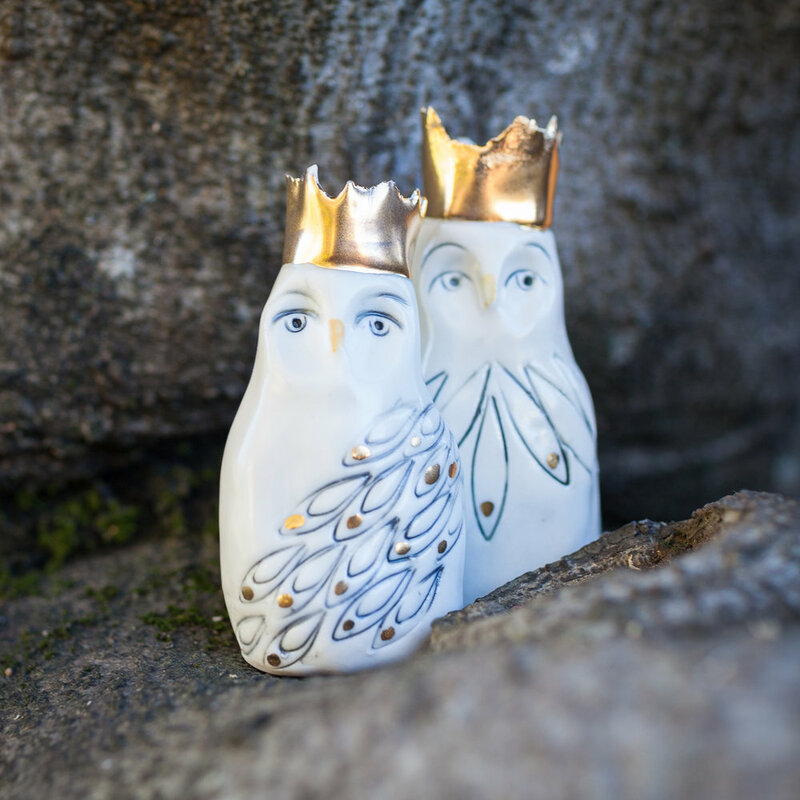 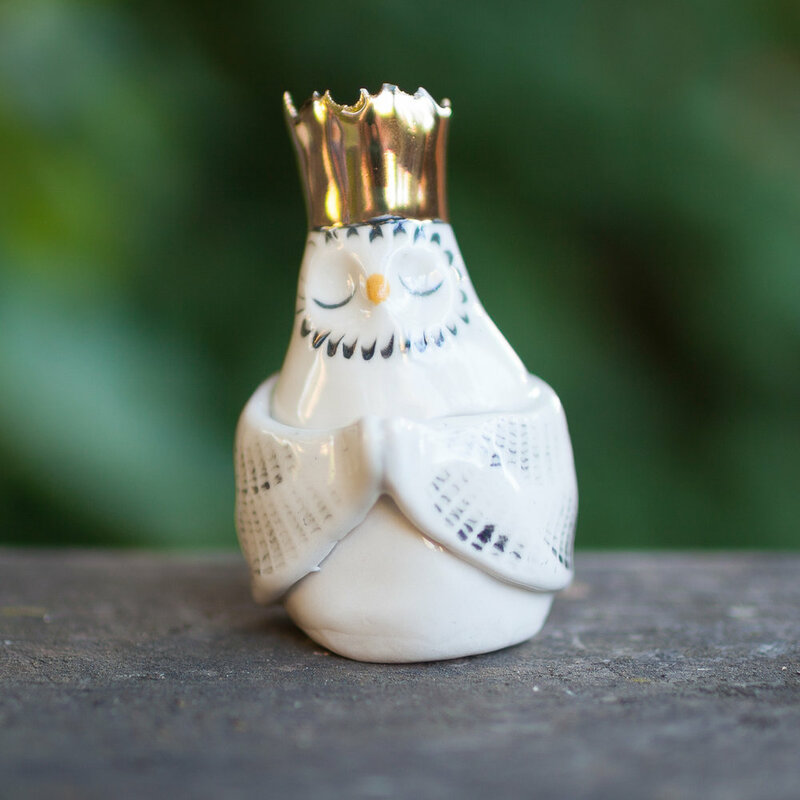 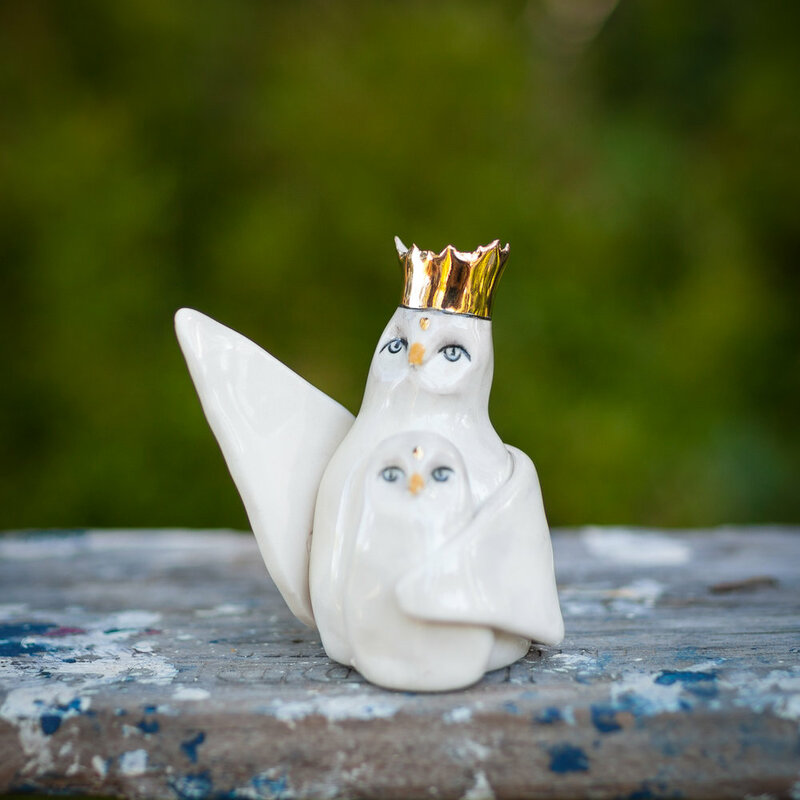 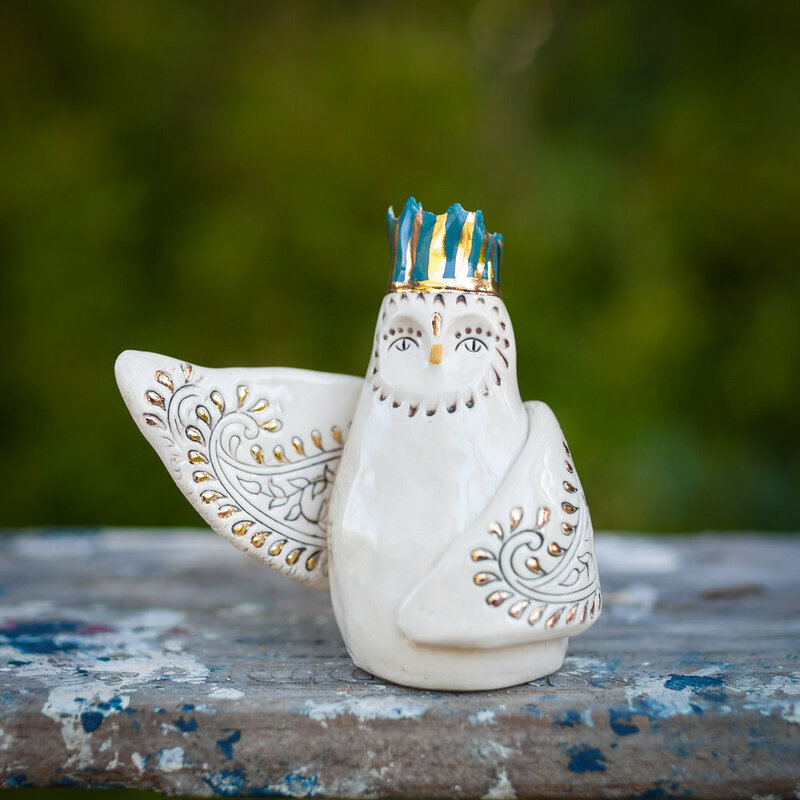 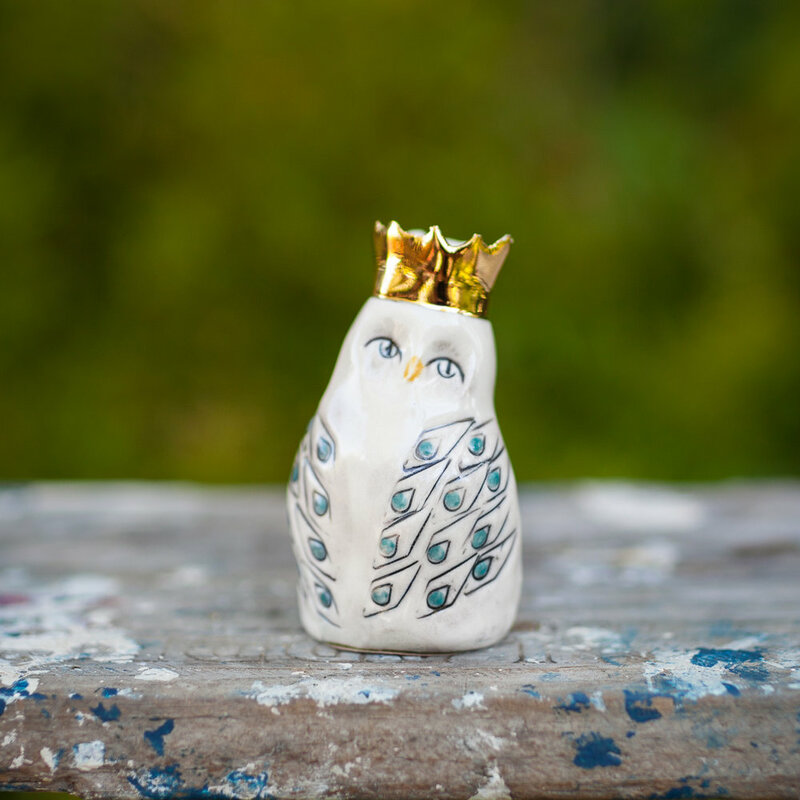 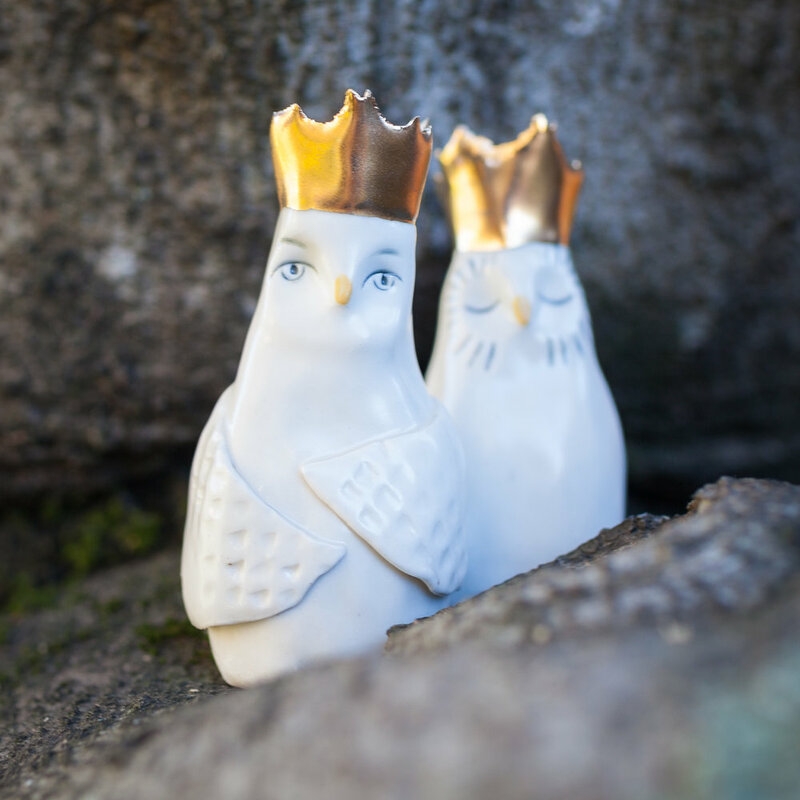 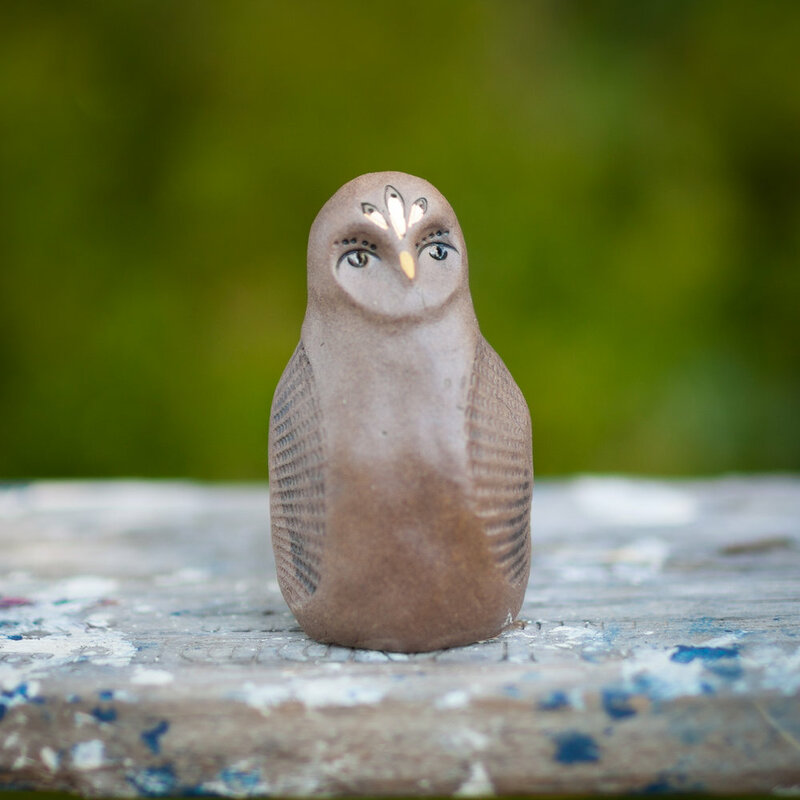 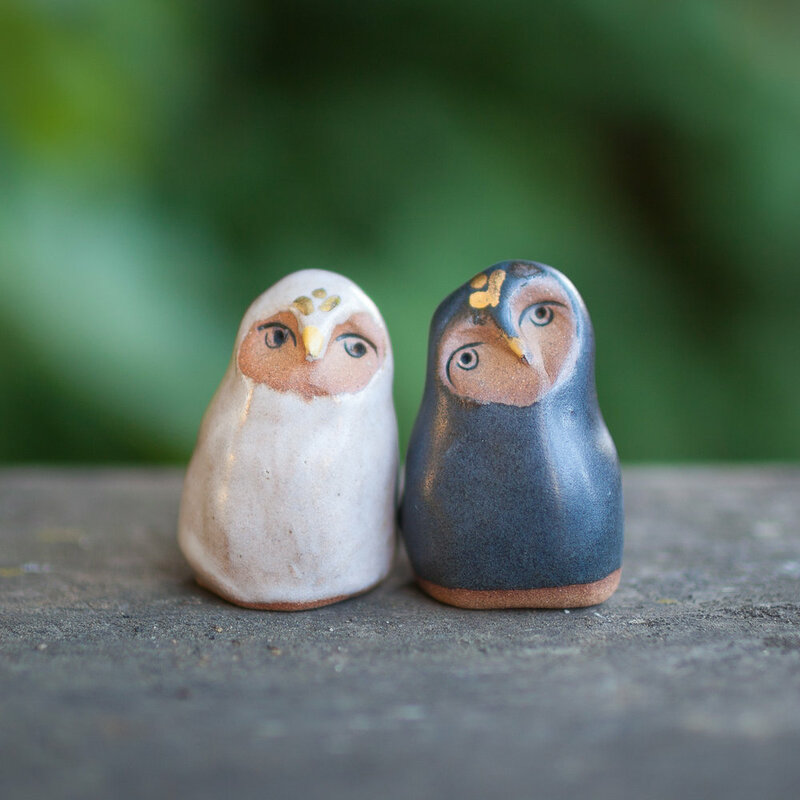 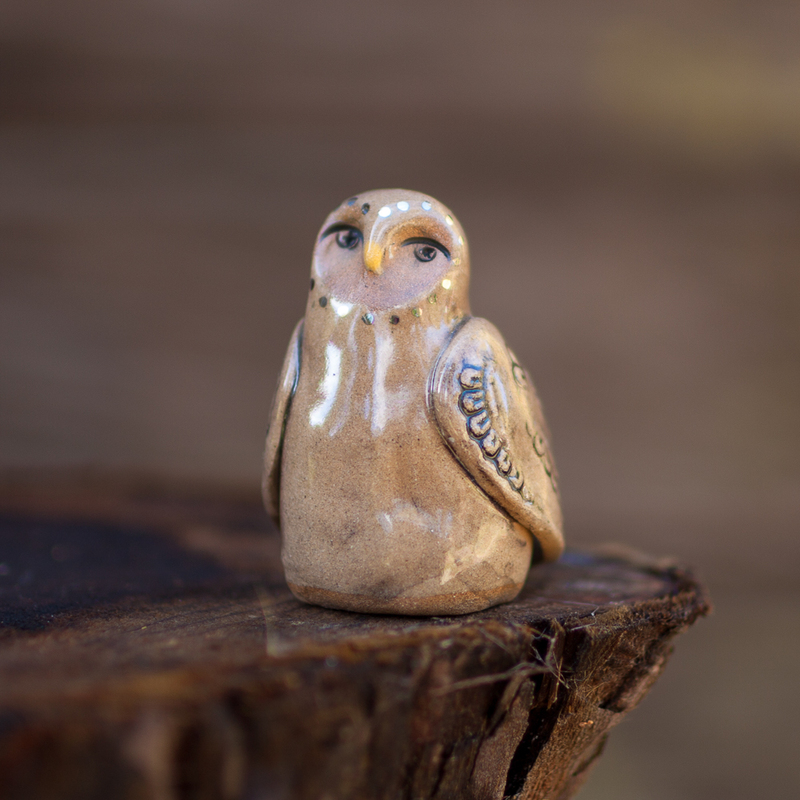 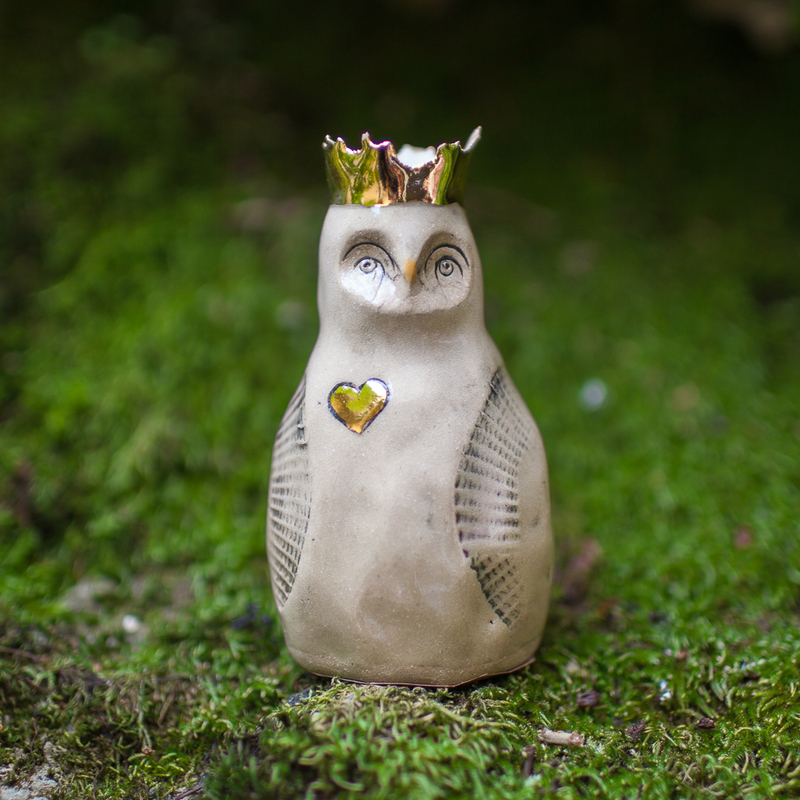 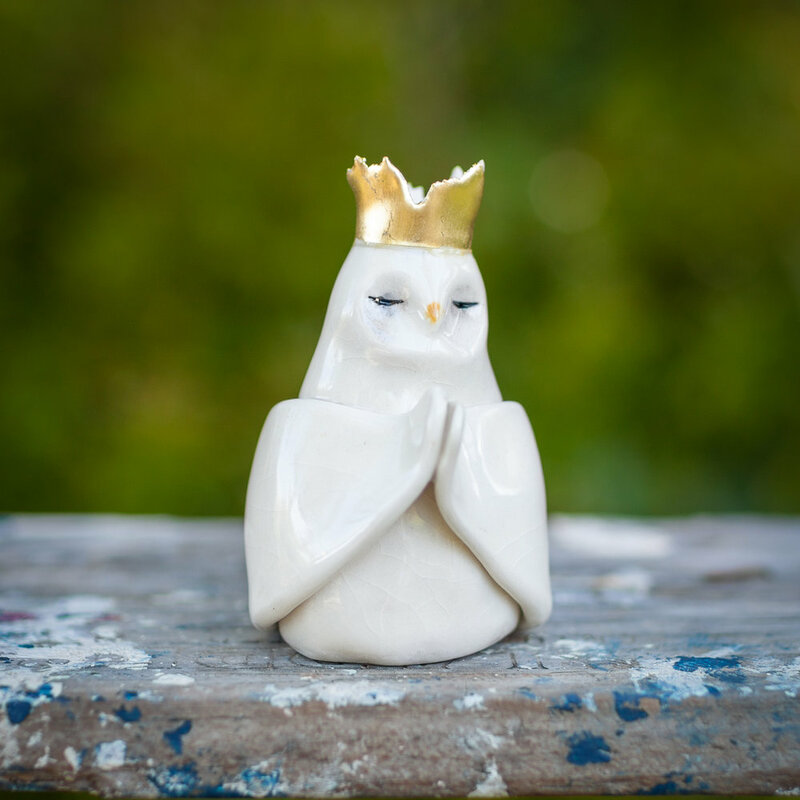 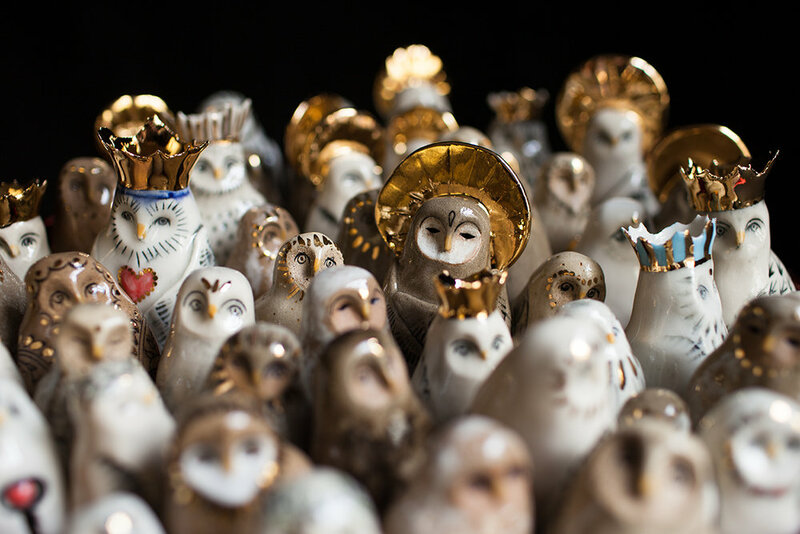 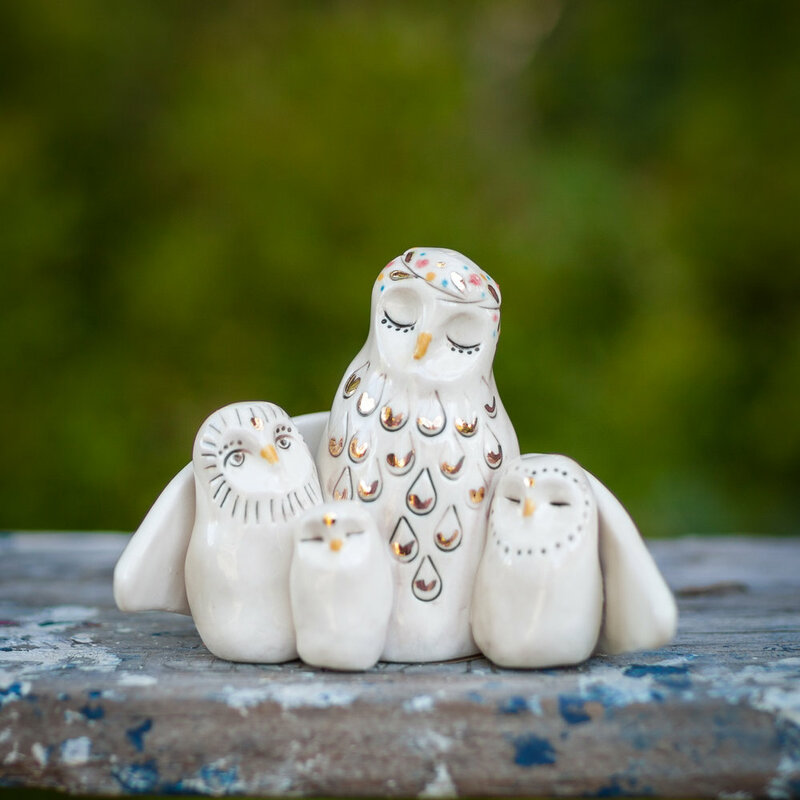 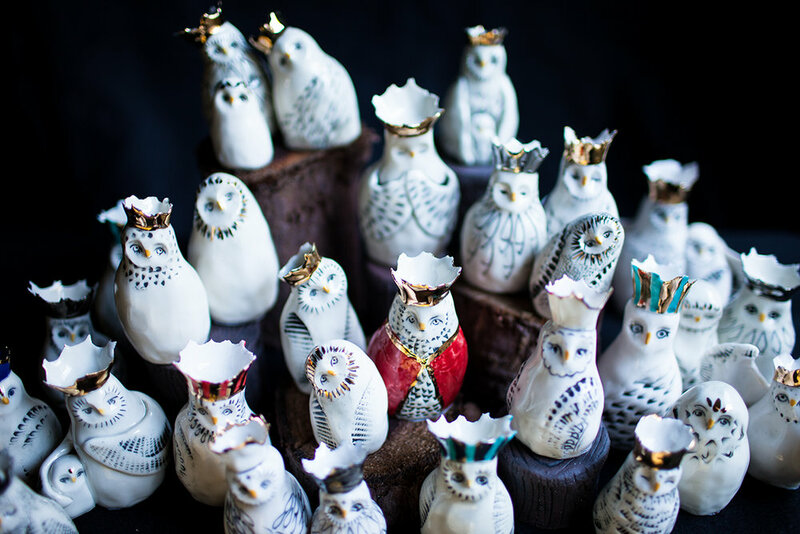 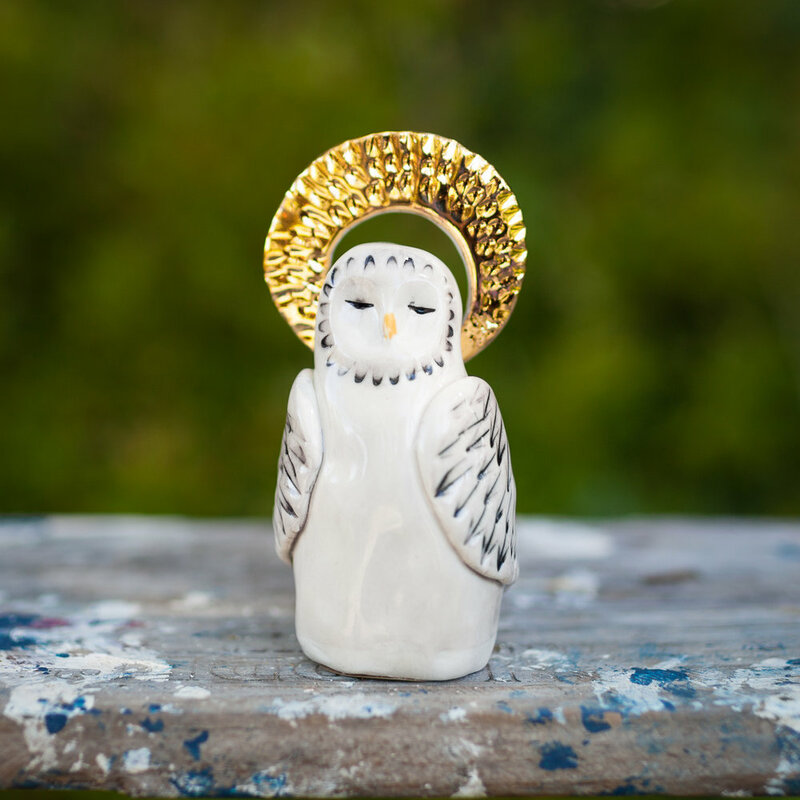 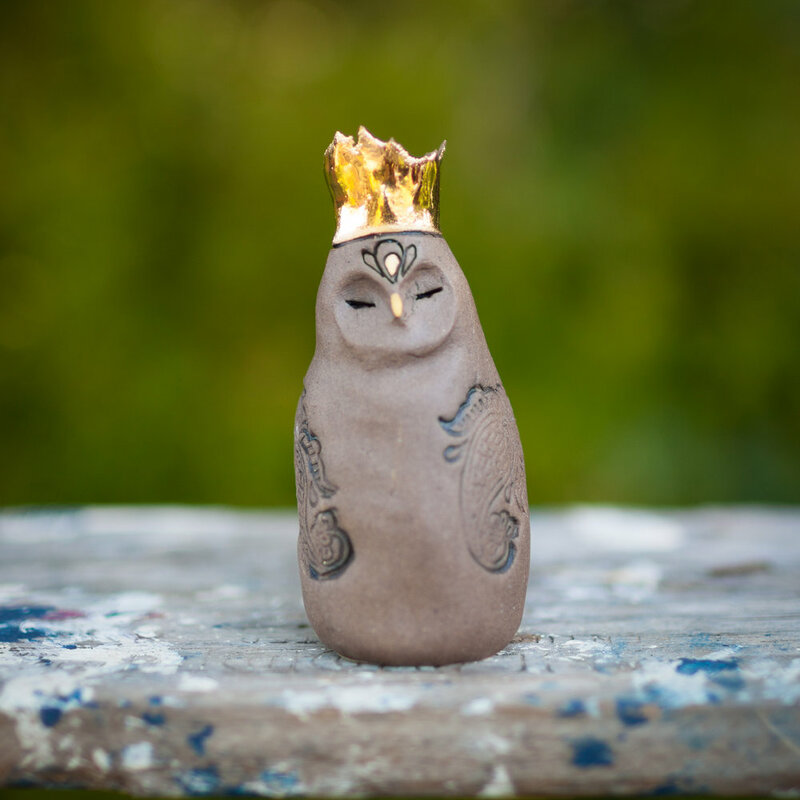 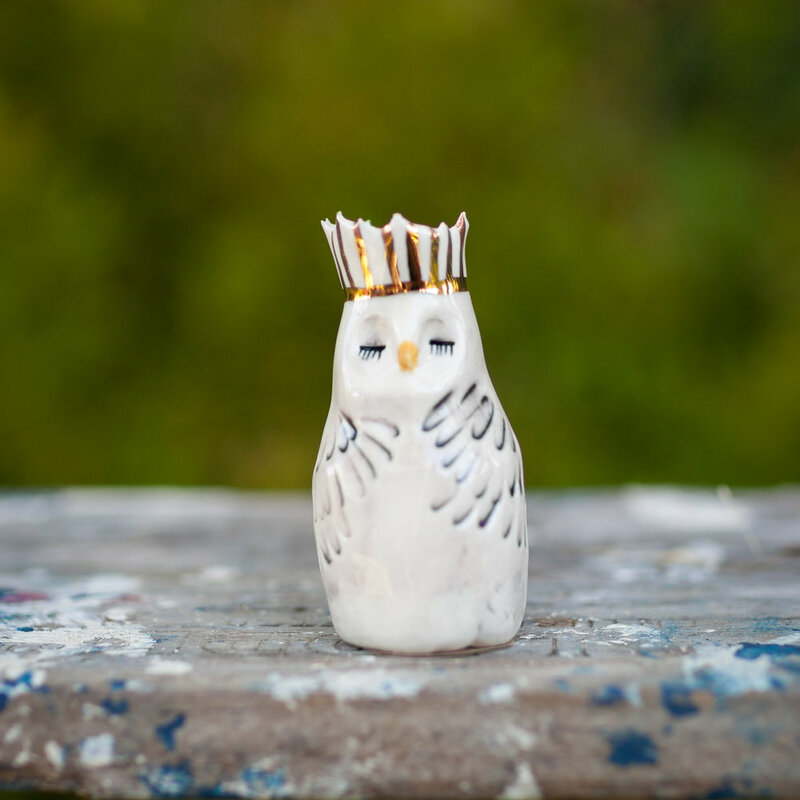 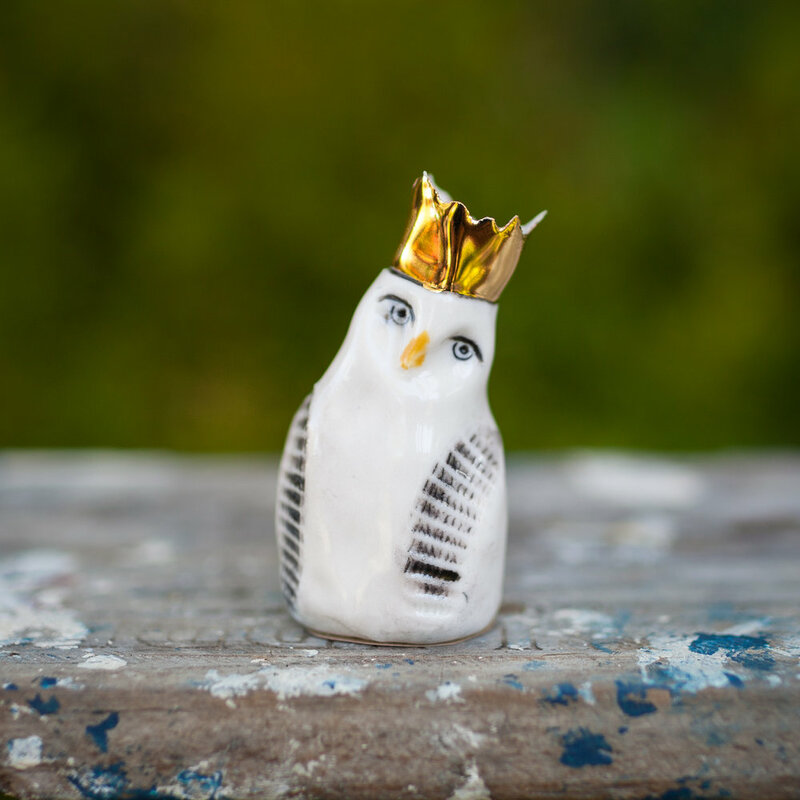 Heather has crafted these ceramic owls to serve as a reminder of a higher power or our higher self. 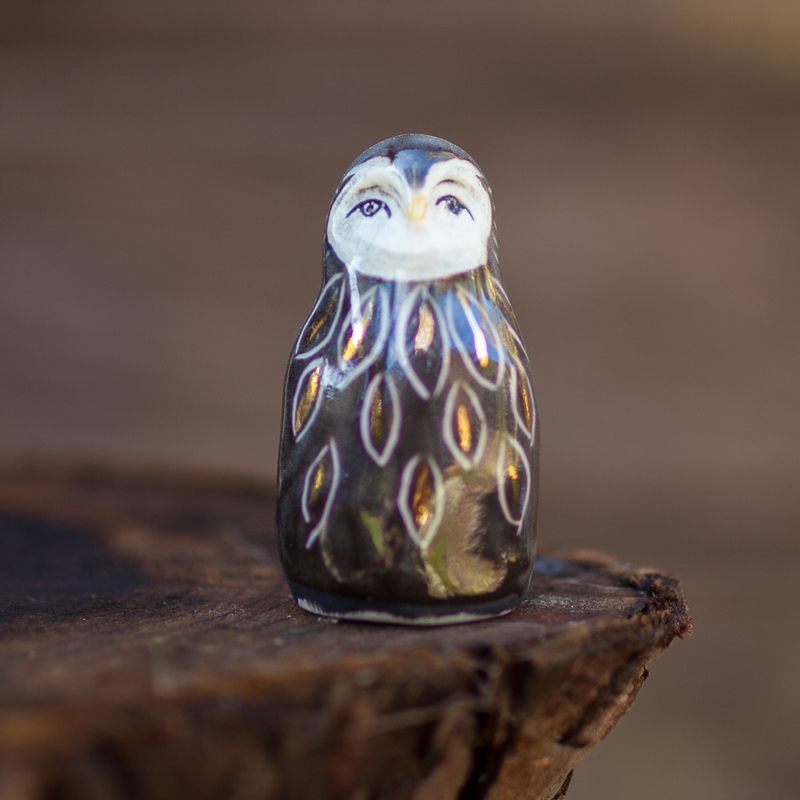 Hidden within each owl is a scroll offering insights and blessings to lift the spirit and comfort the soul. 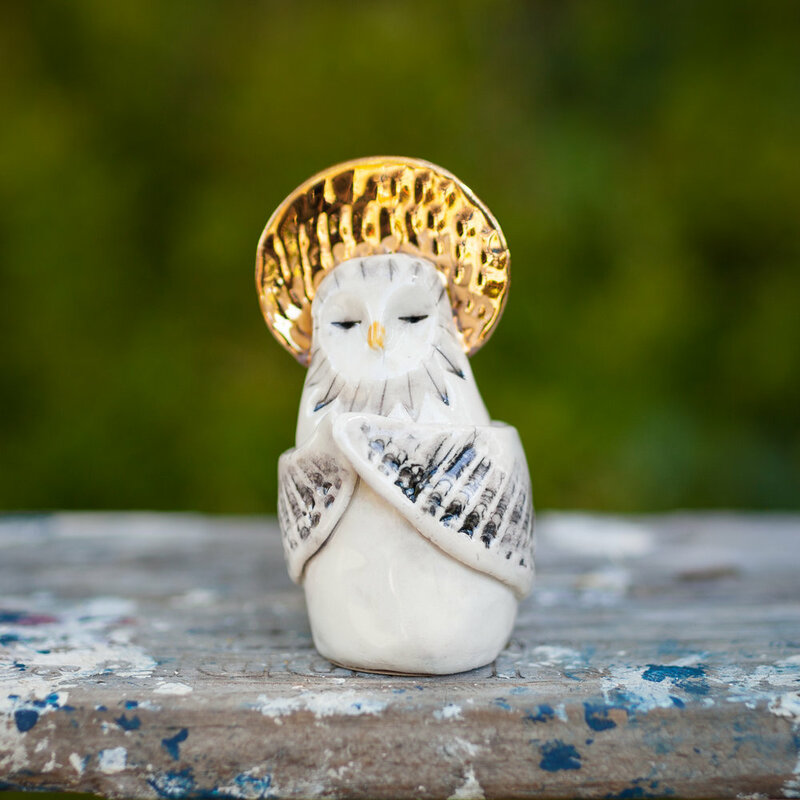 Heather's hope is that the presence of this potent symbol of wisdom will be a reminder of what holds heart and meaning in your life. 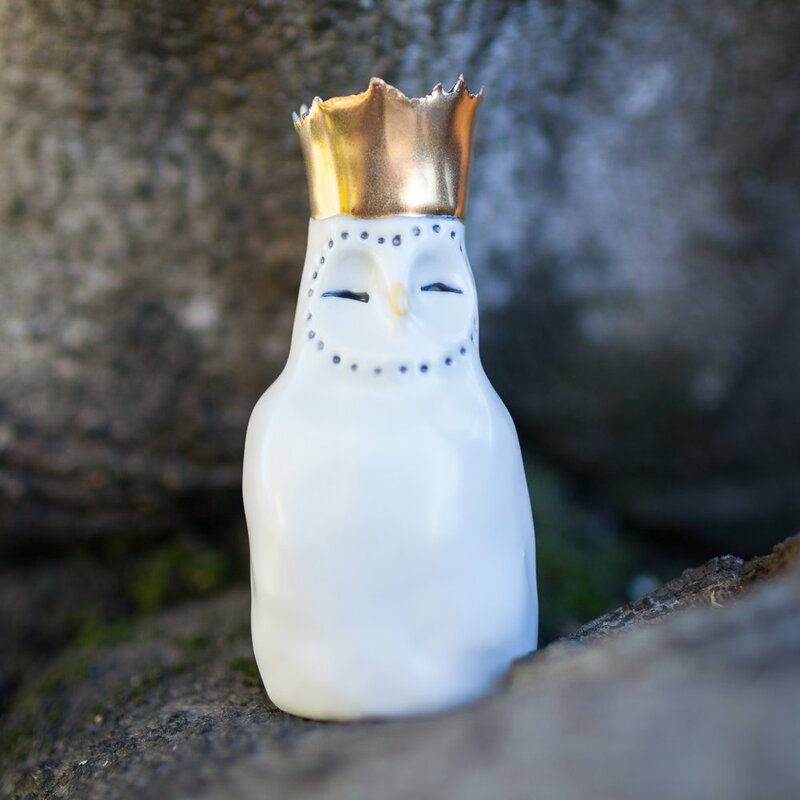 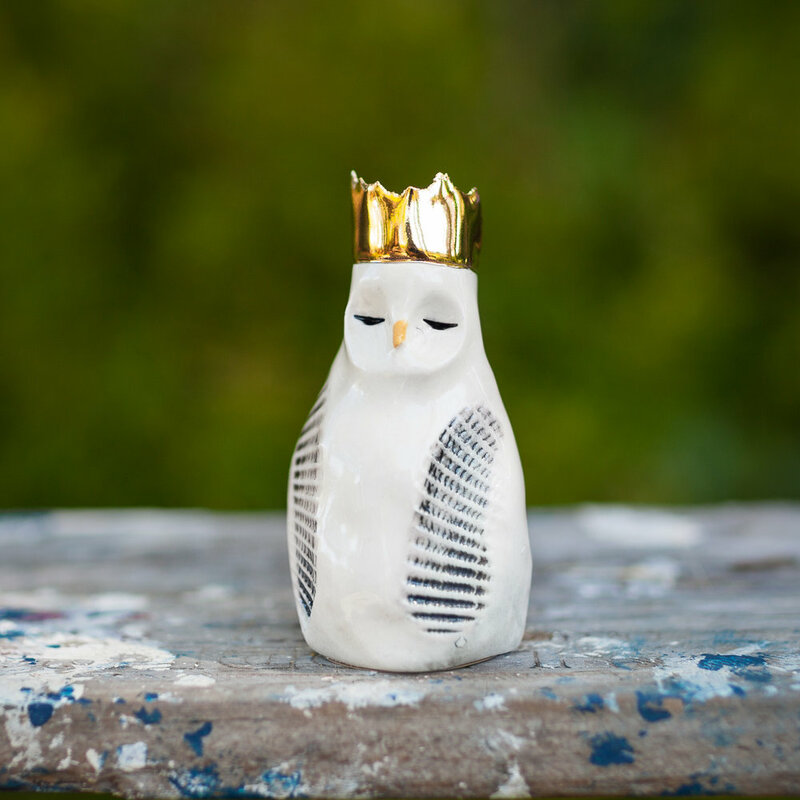 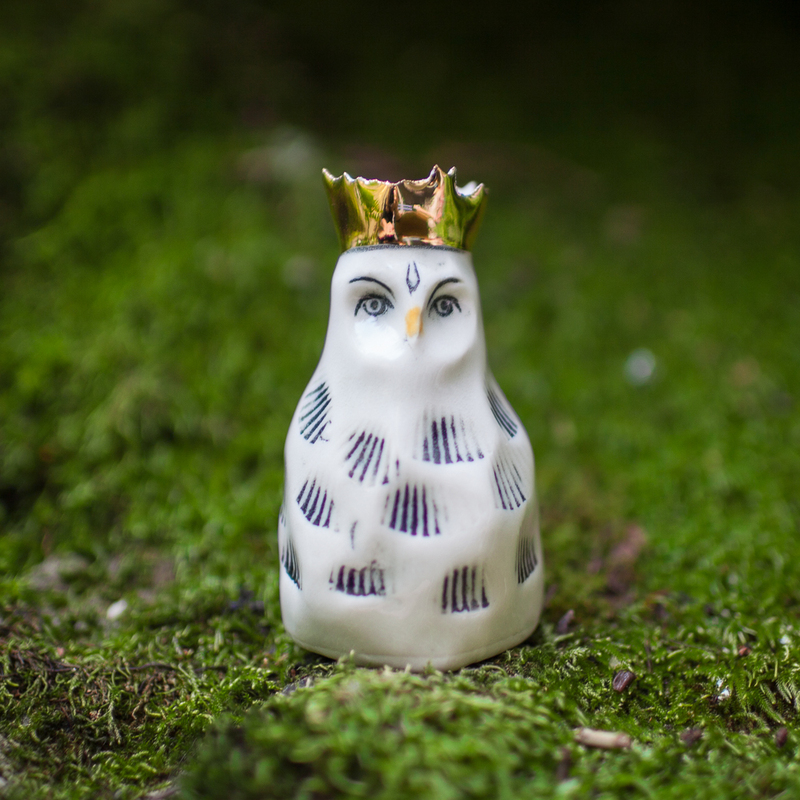 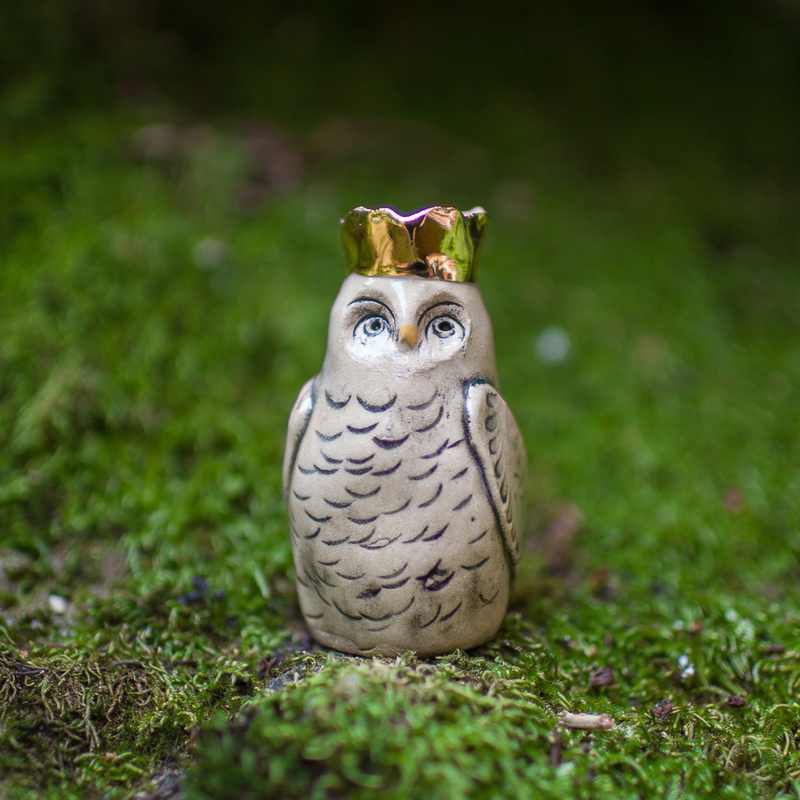 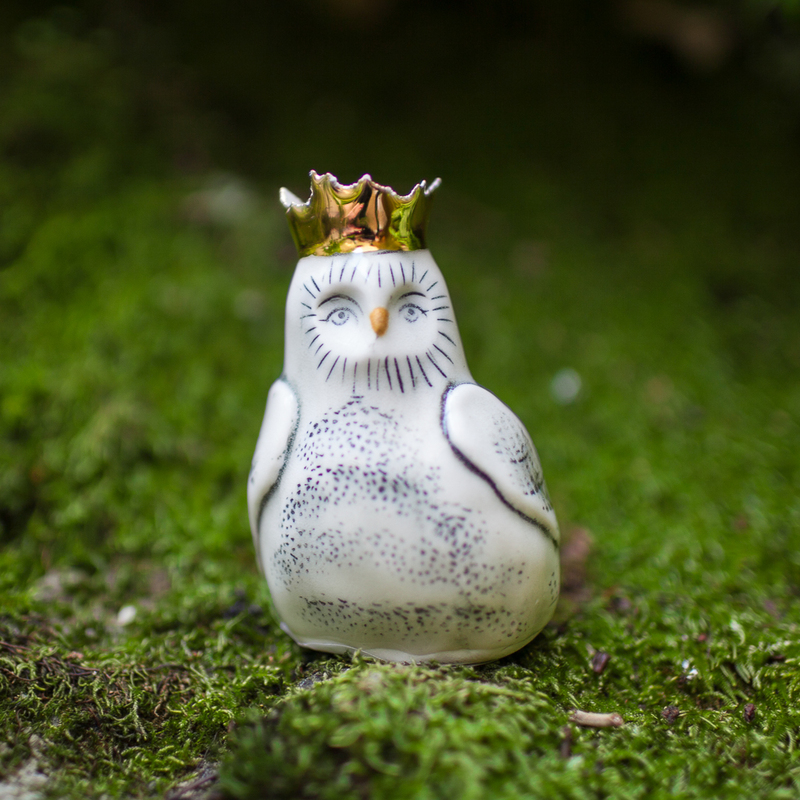 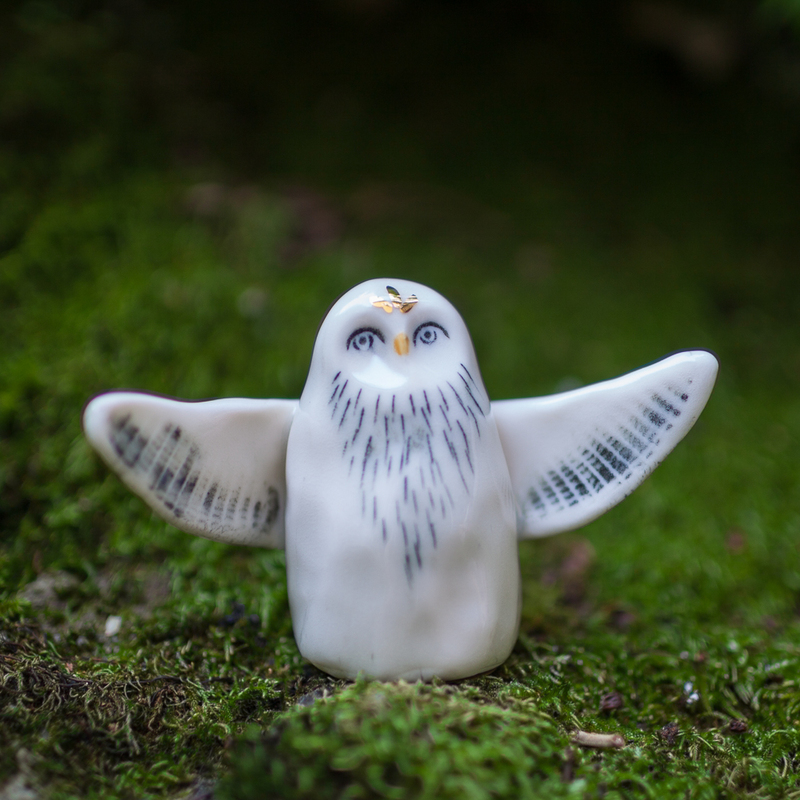 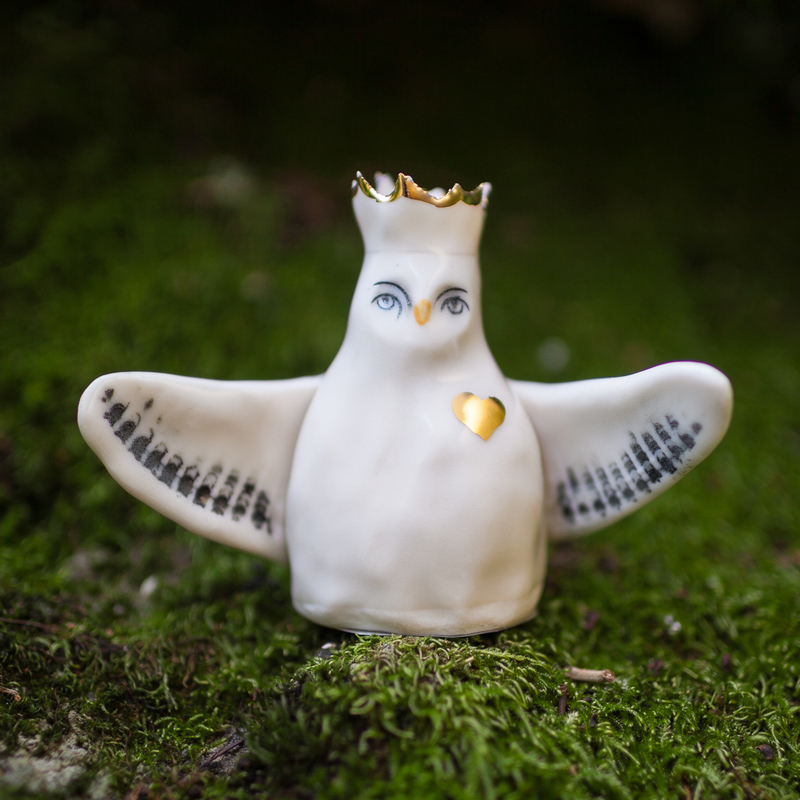 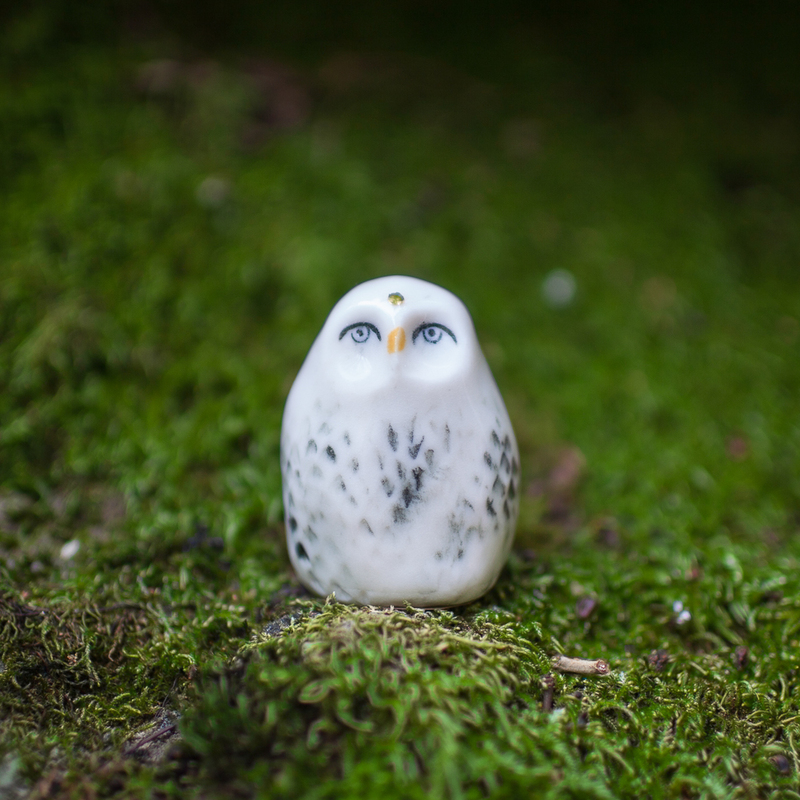 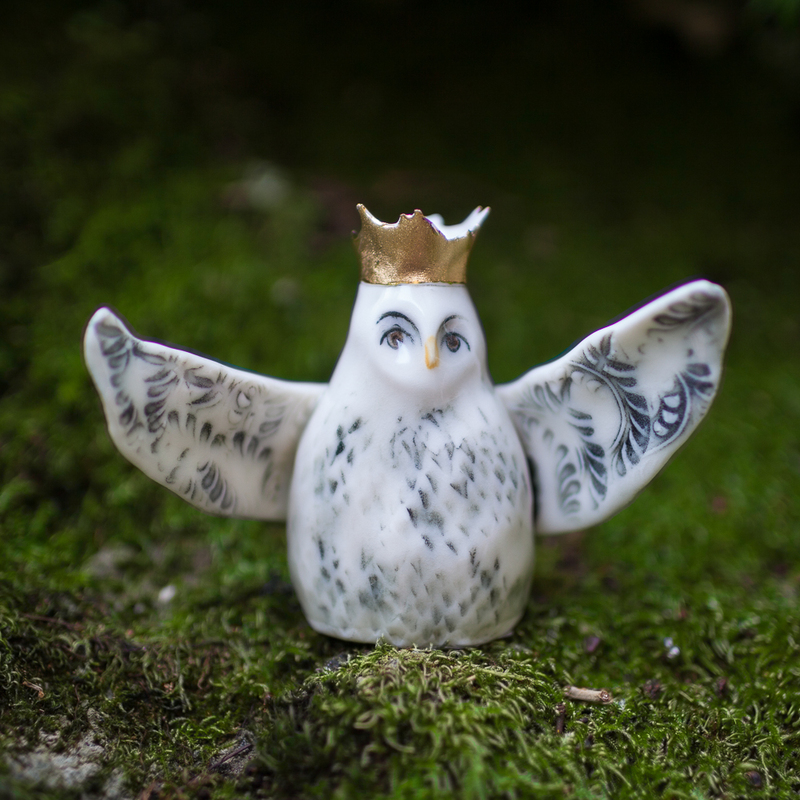 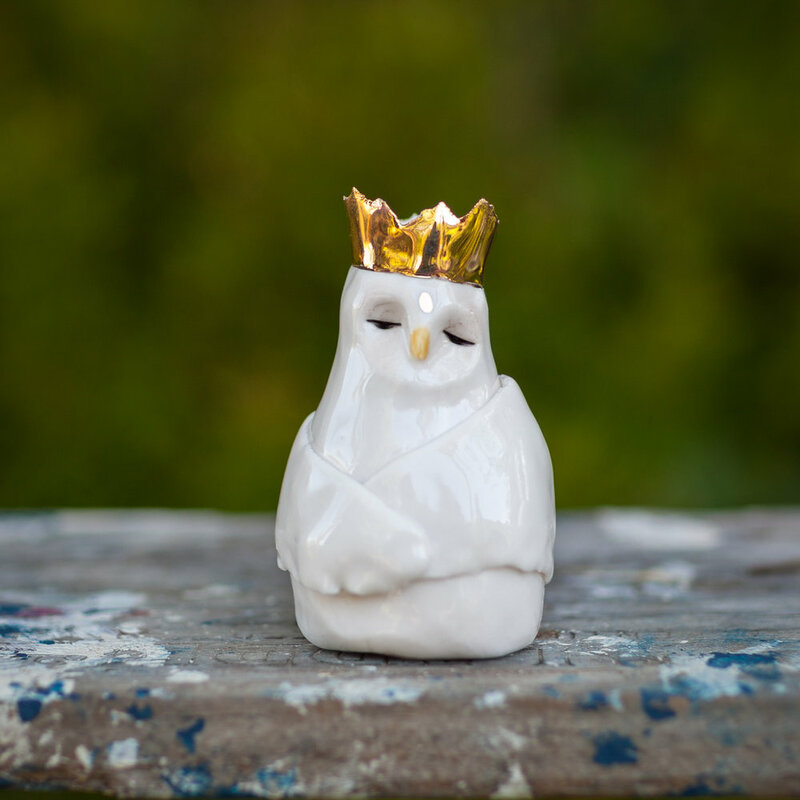 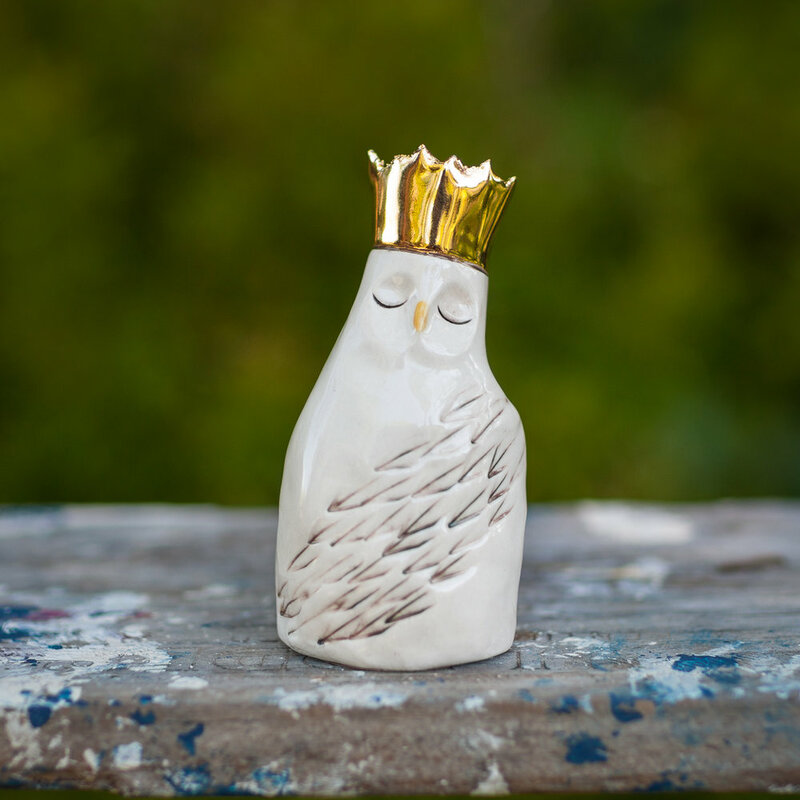 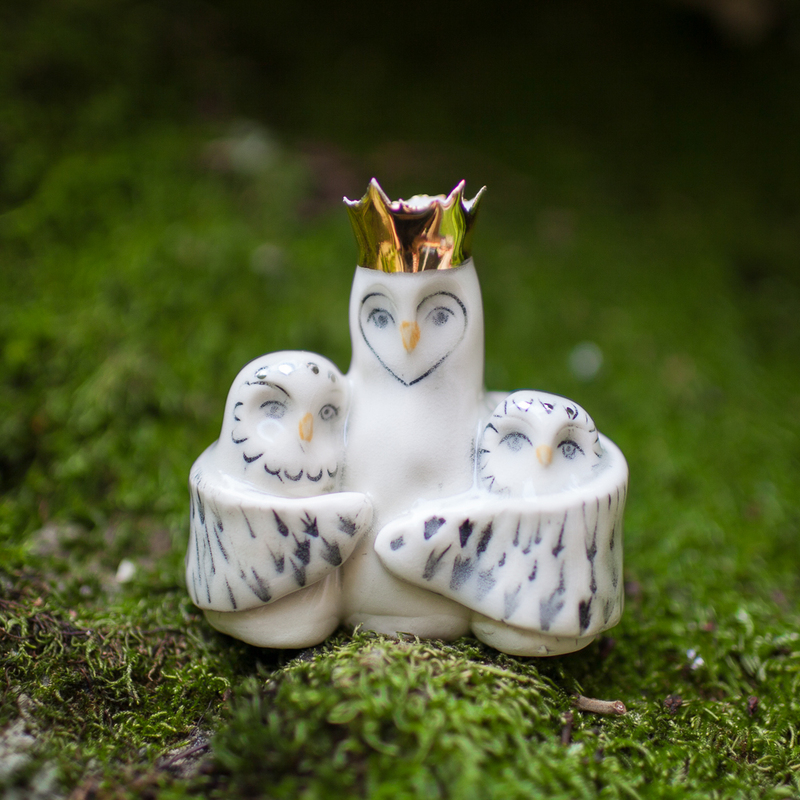 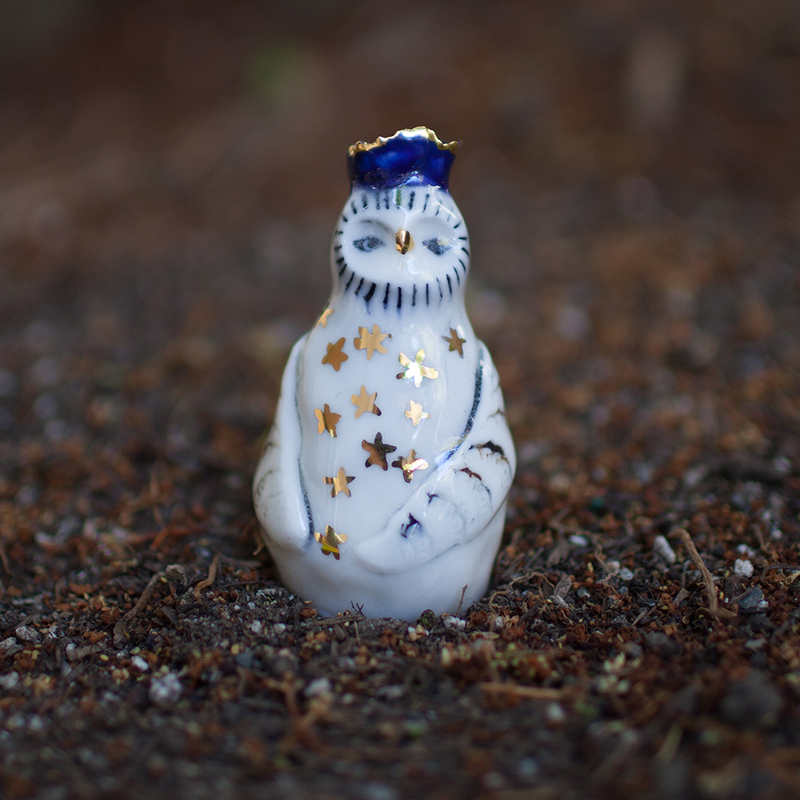 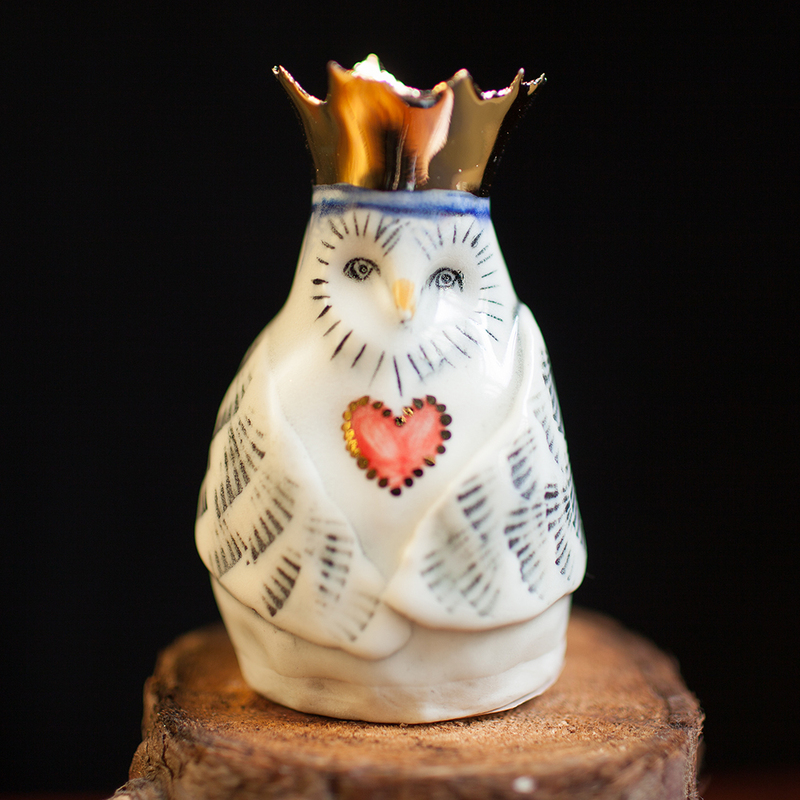 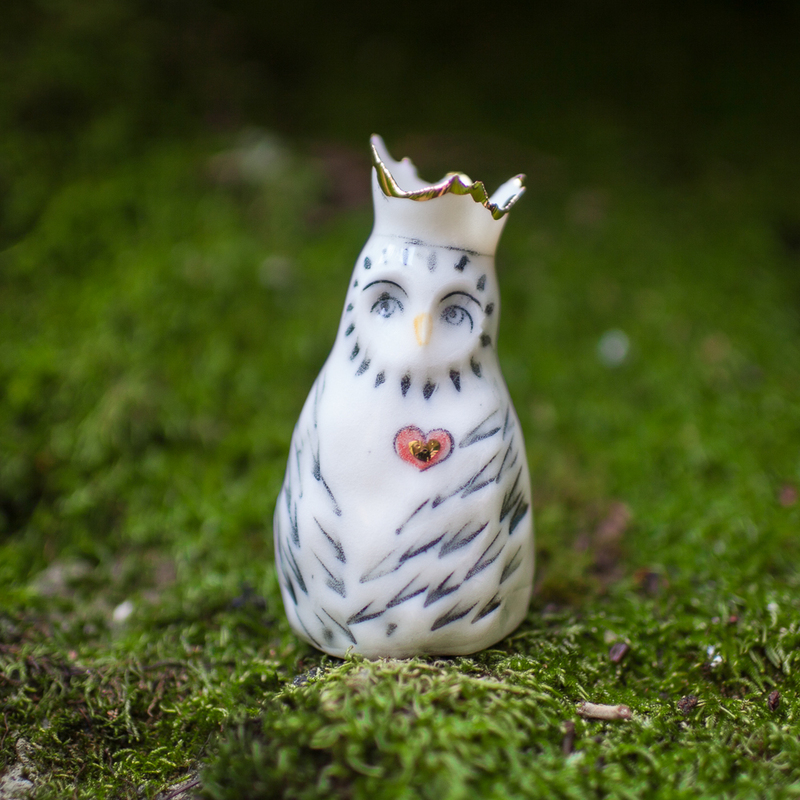 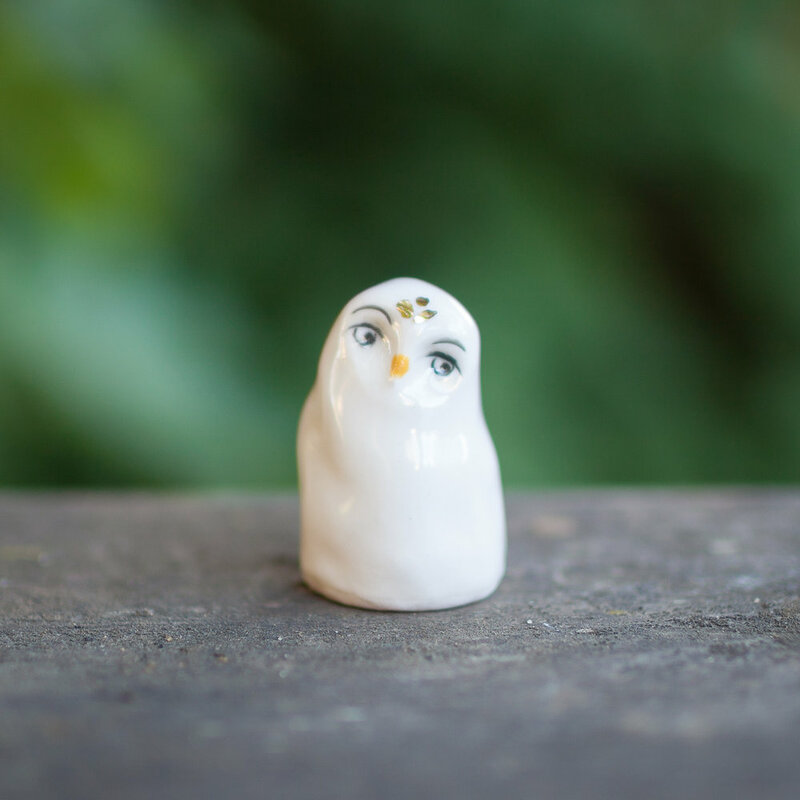 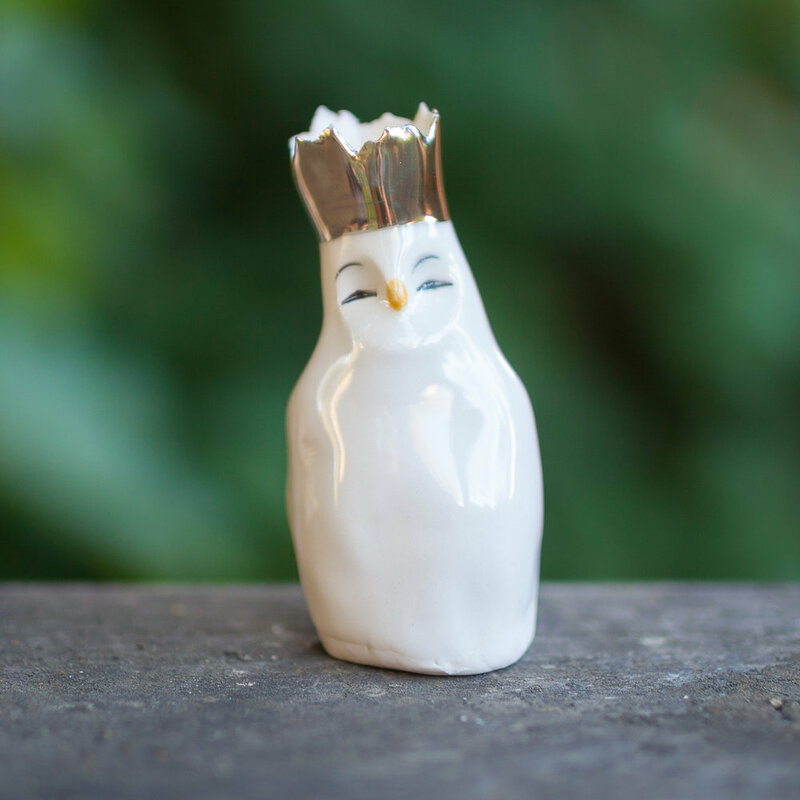 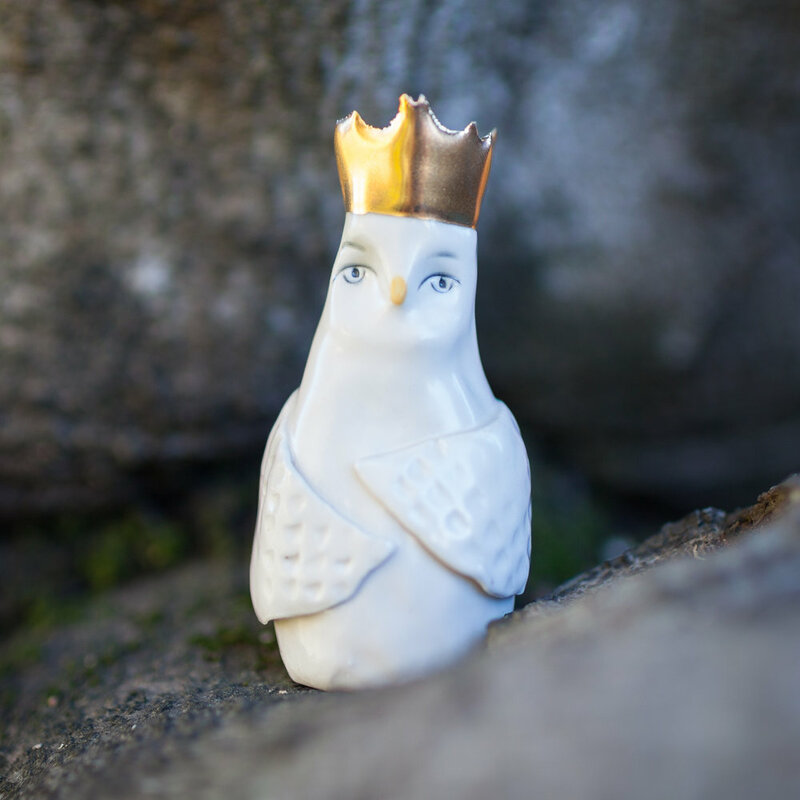 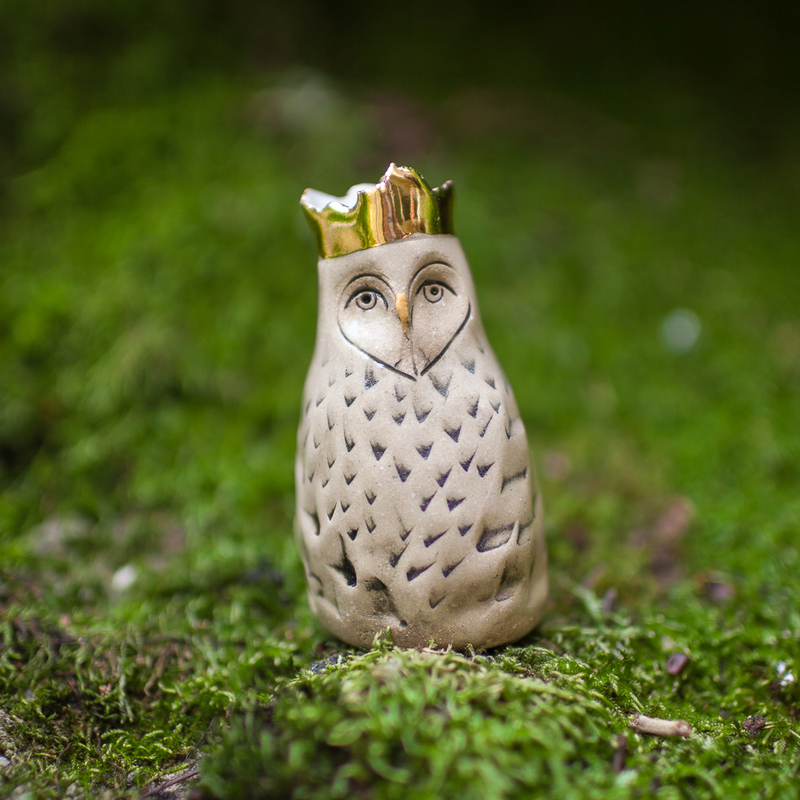 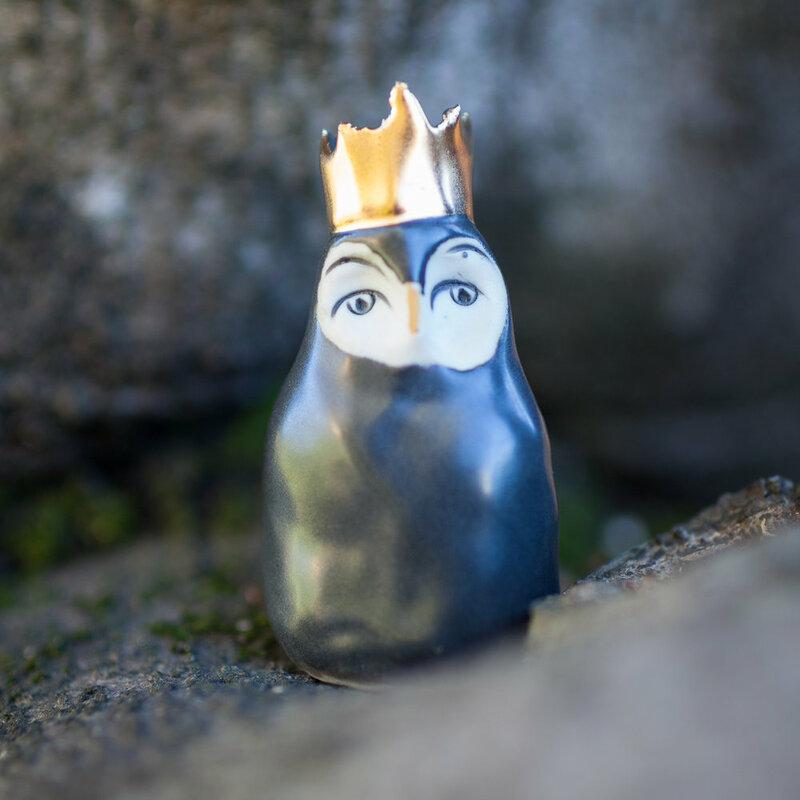 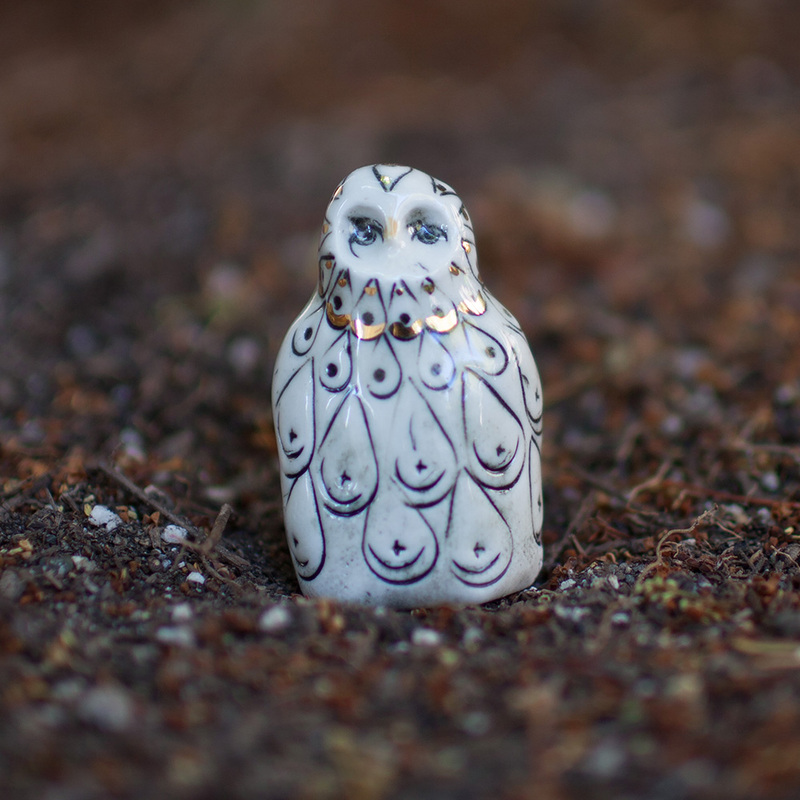 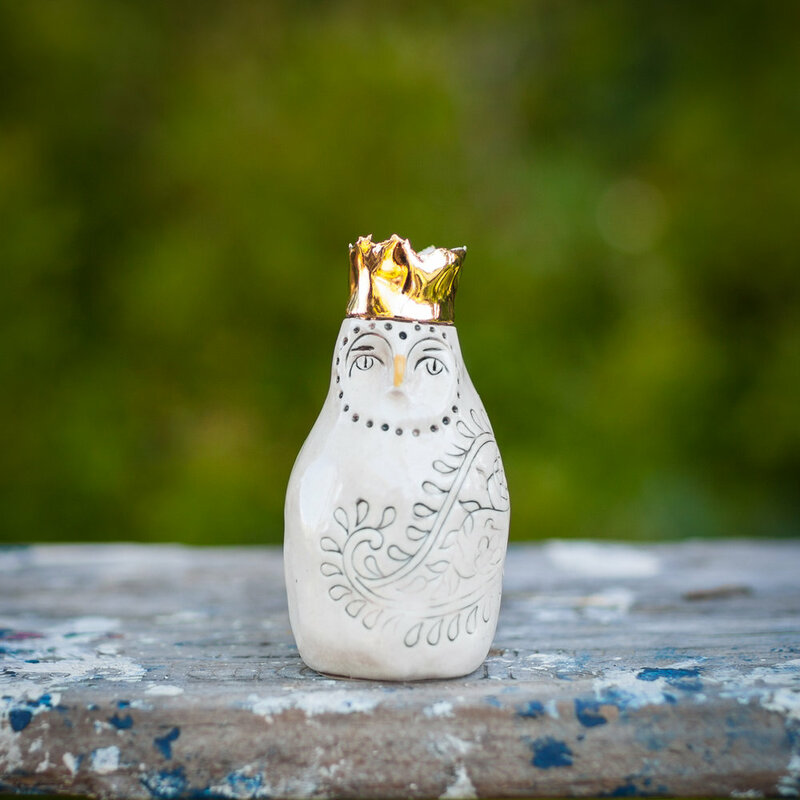 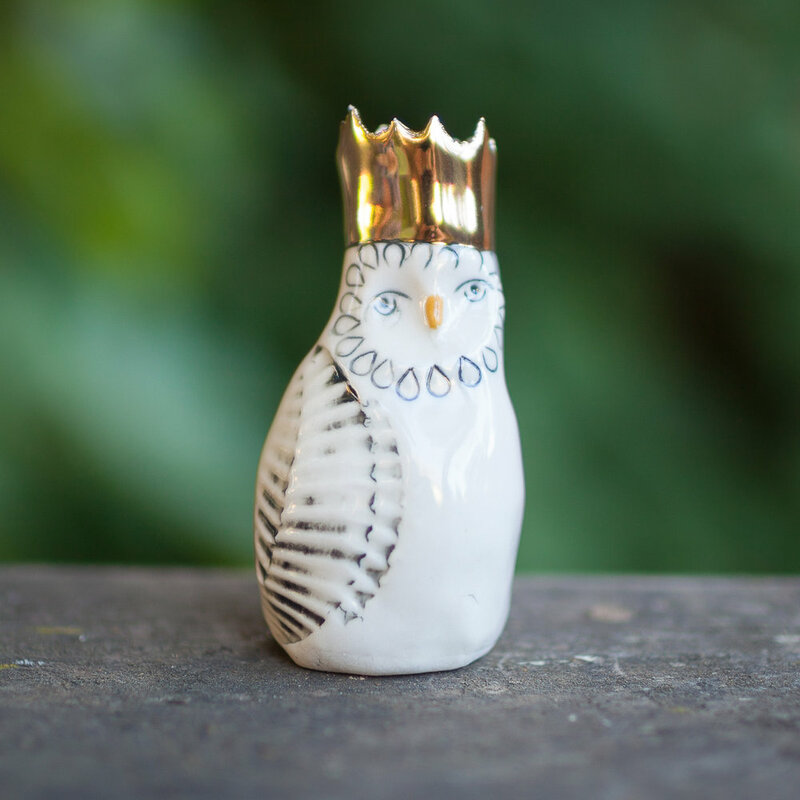 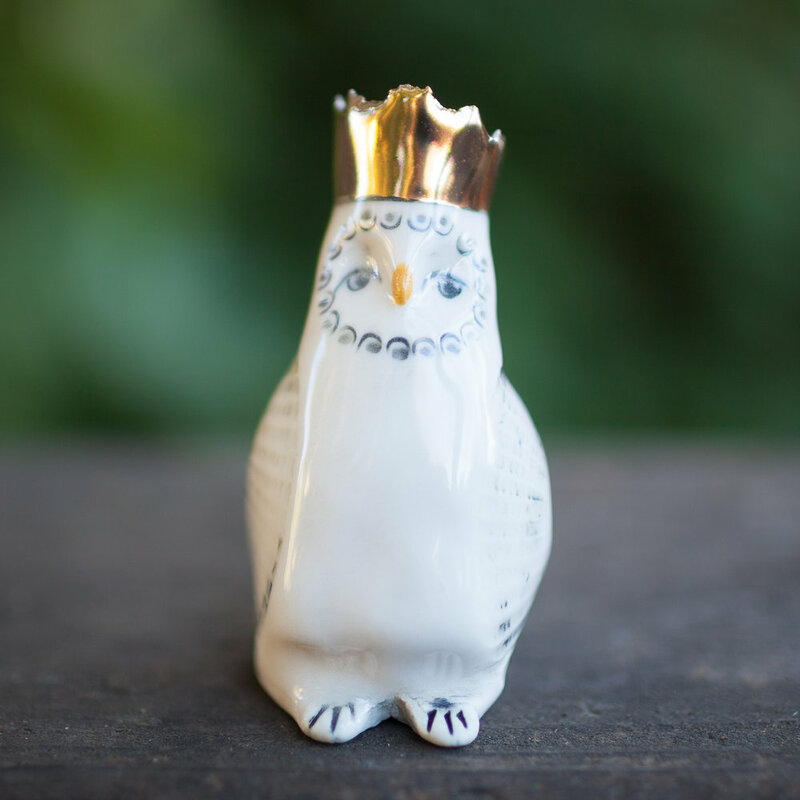 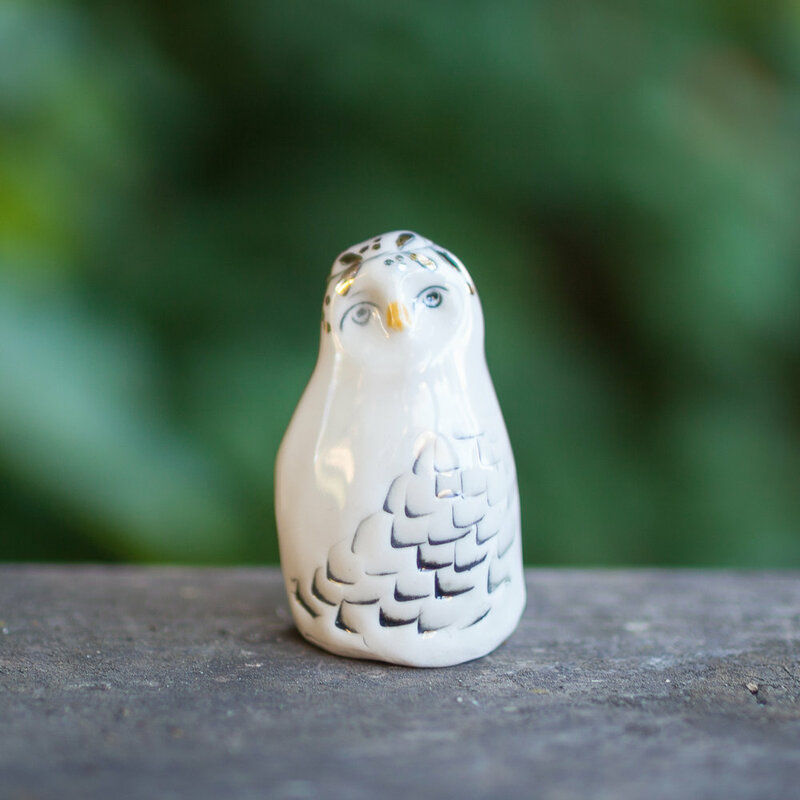 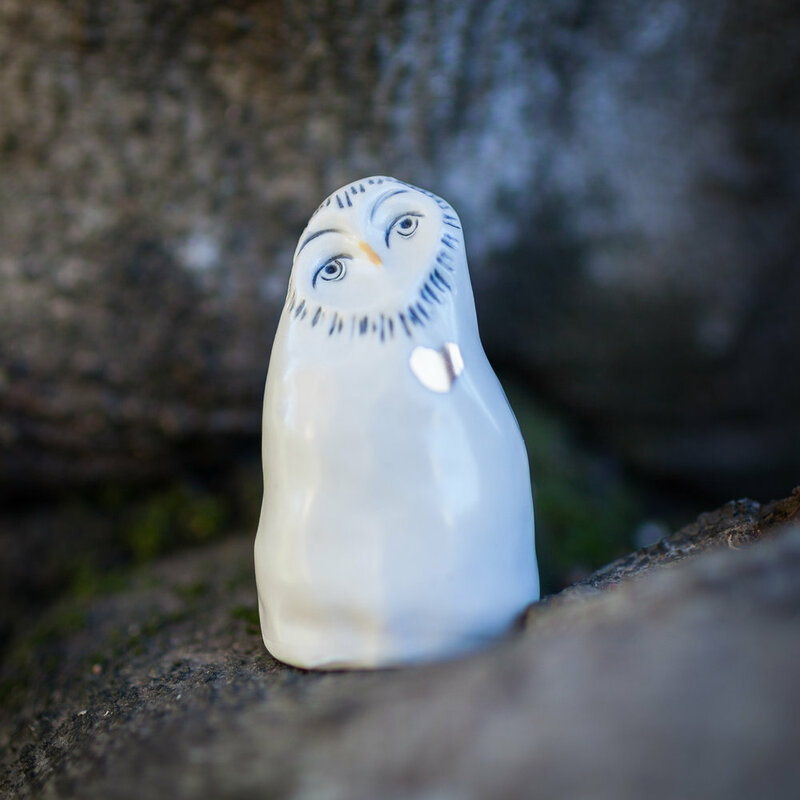 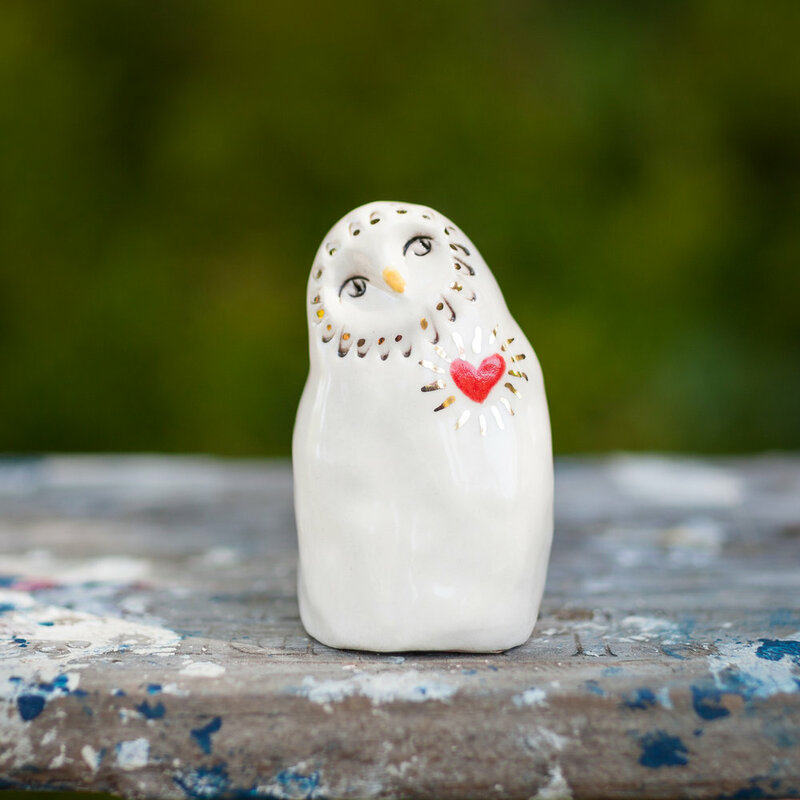 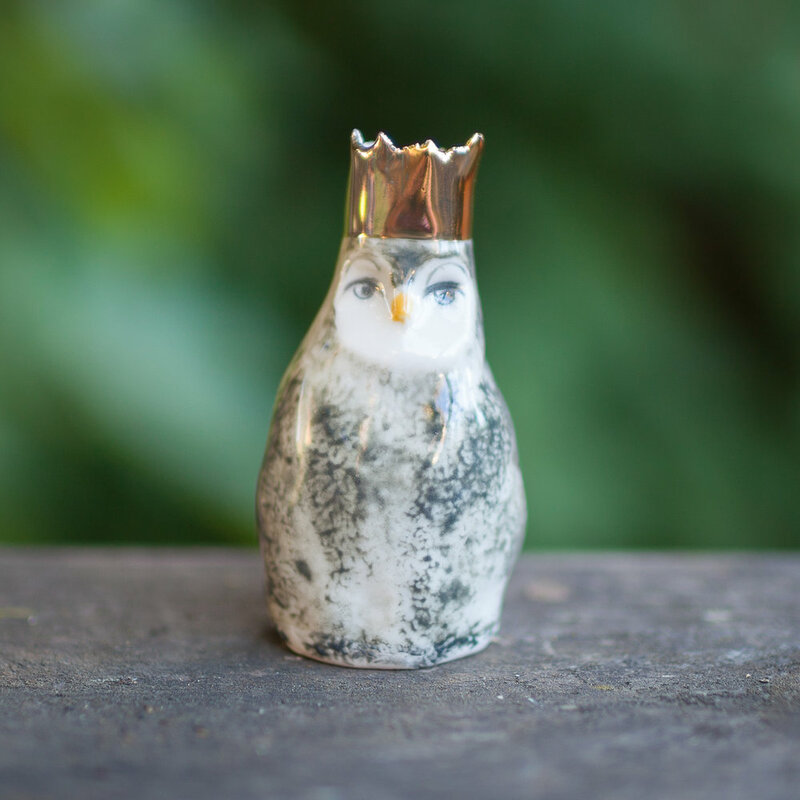 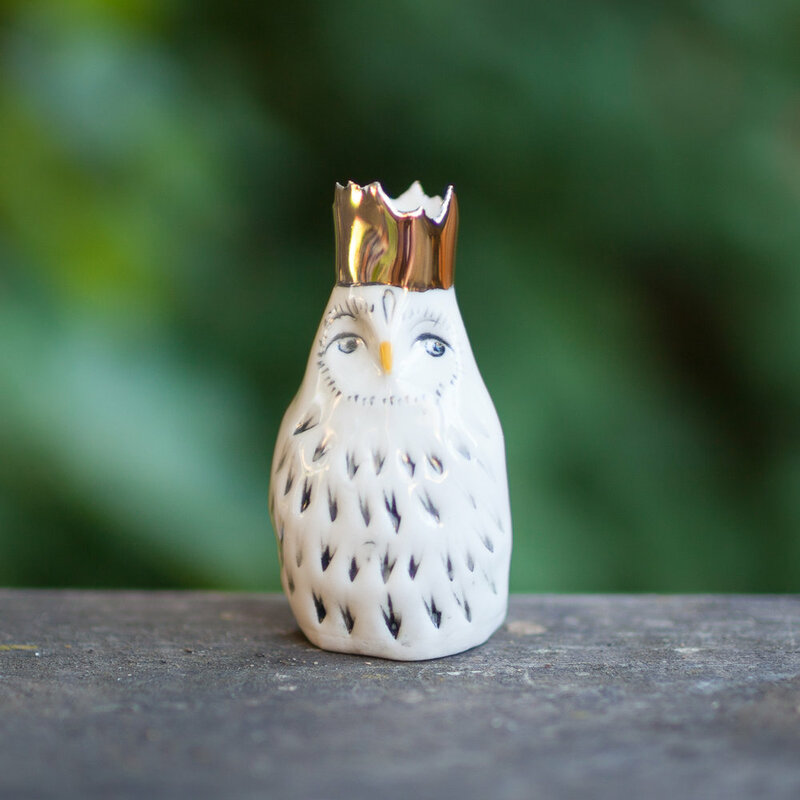 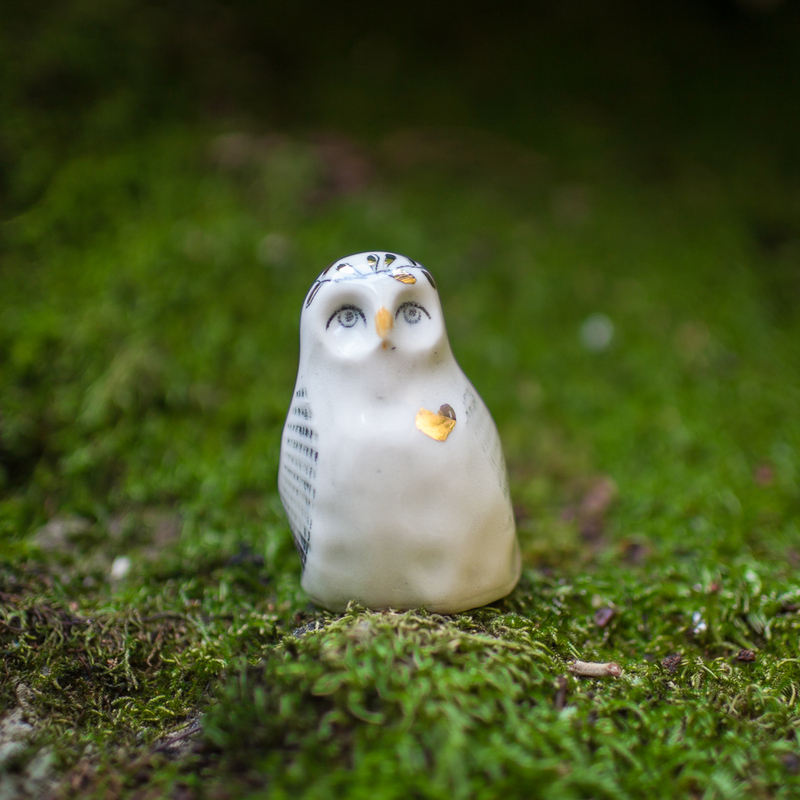 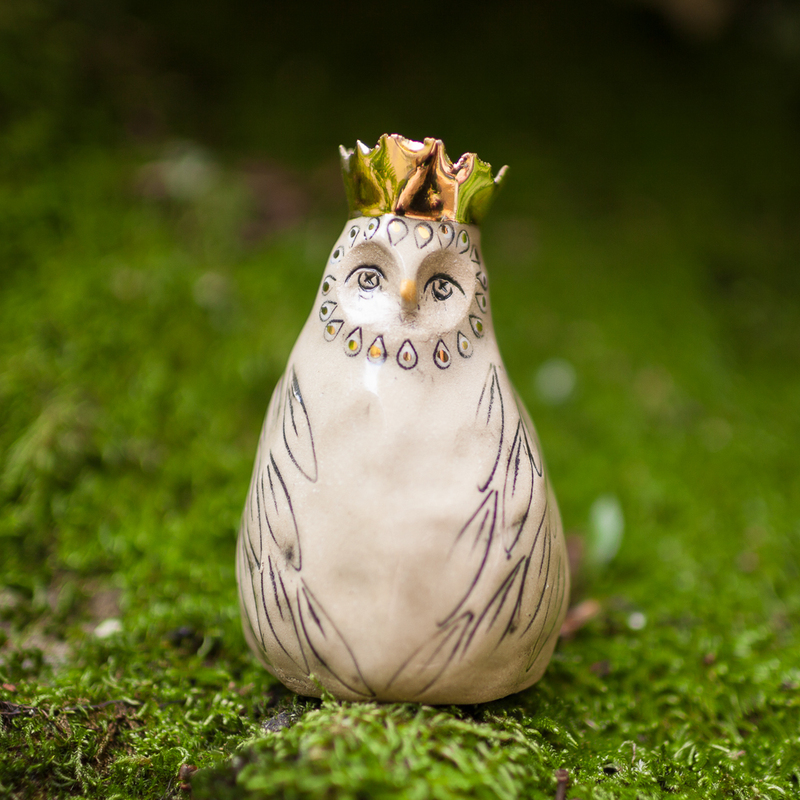 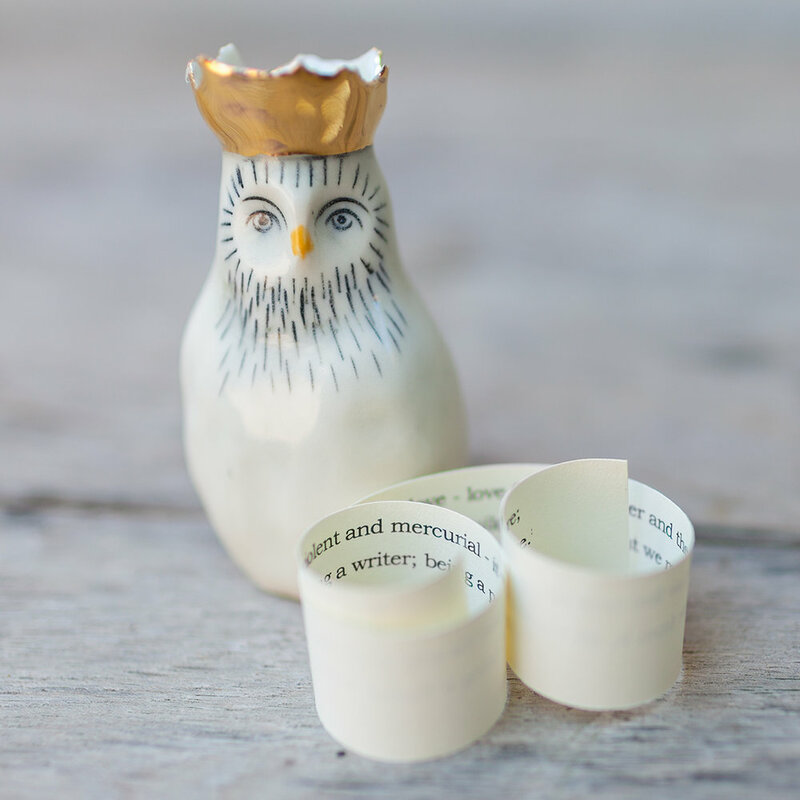 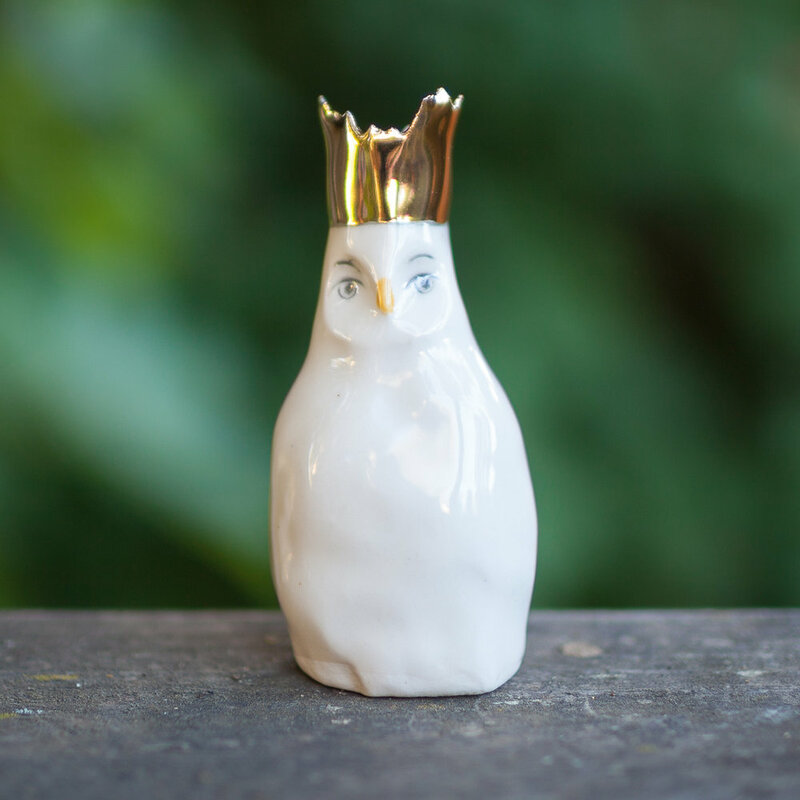 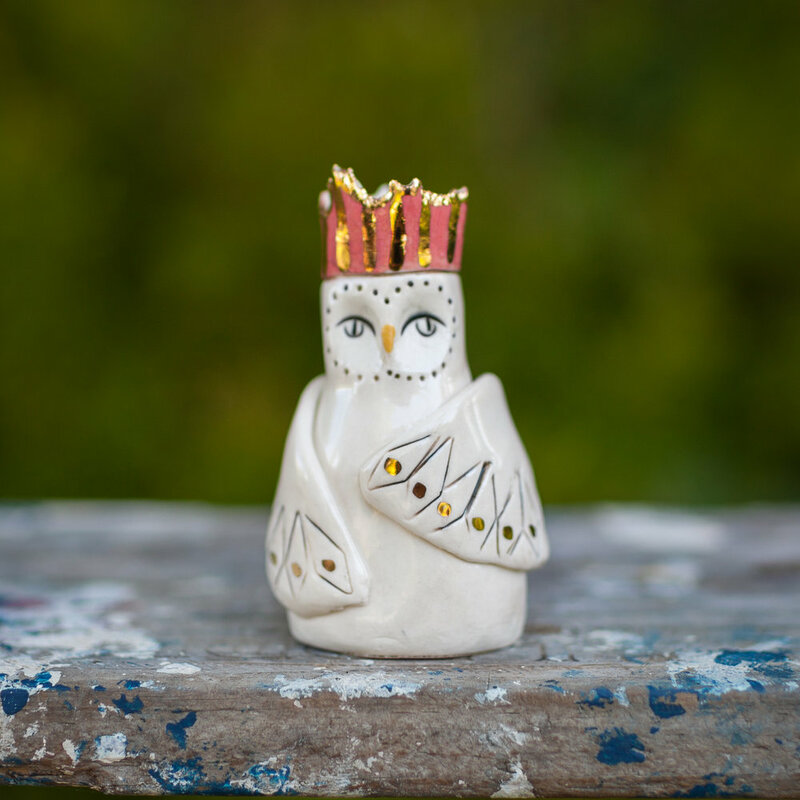 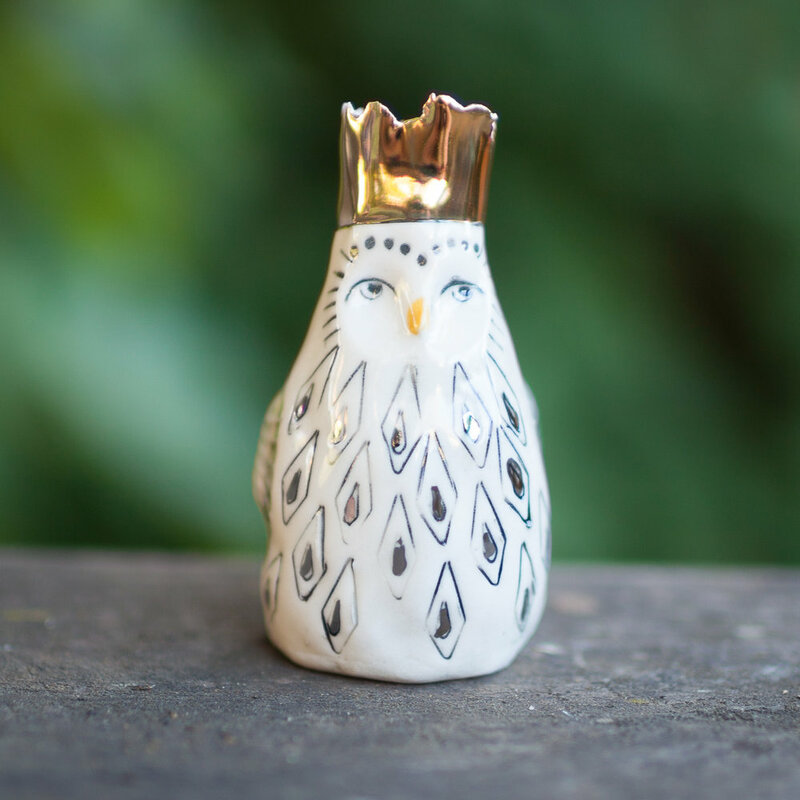 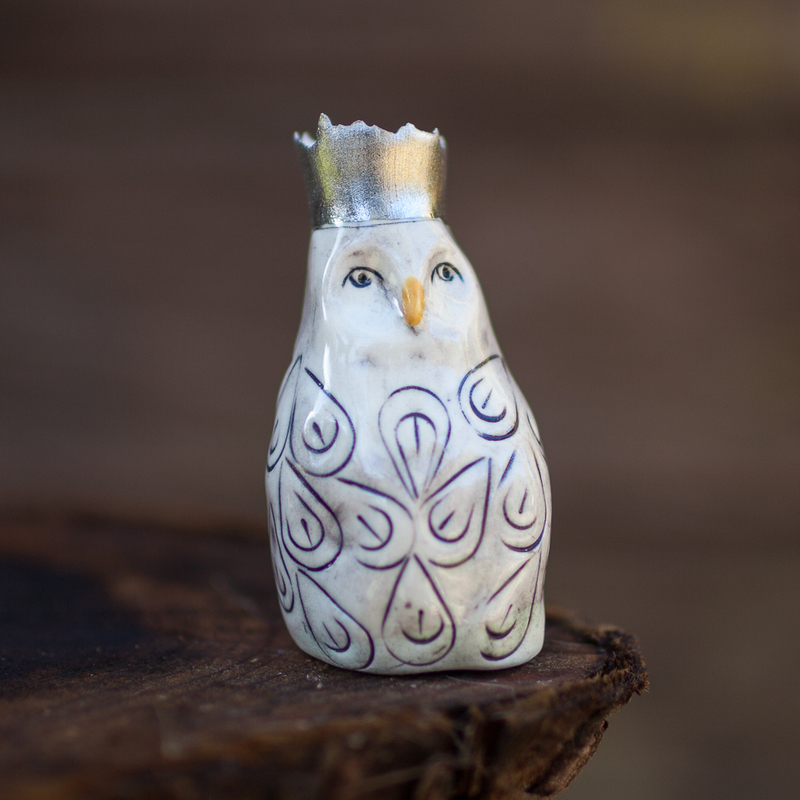 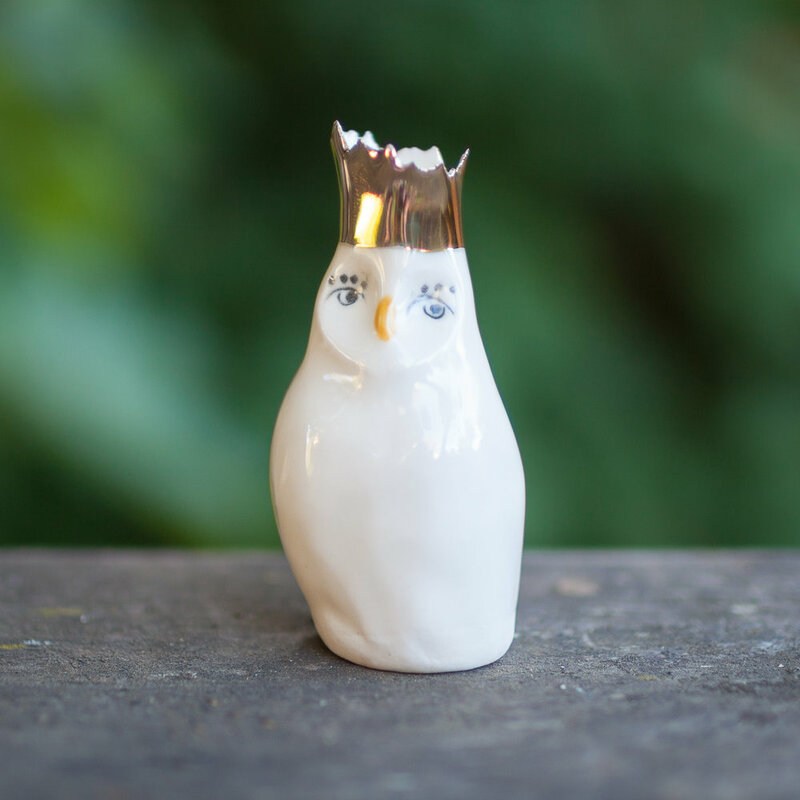 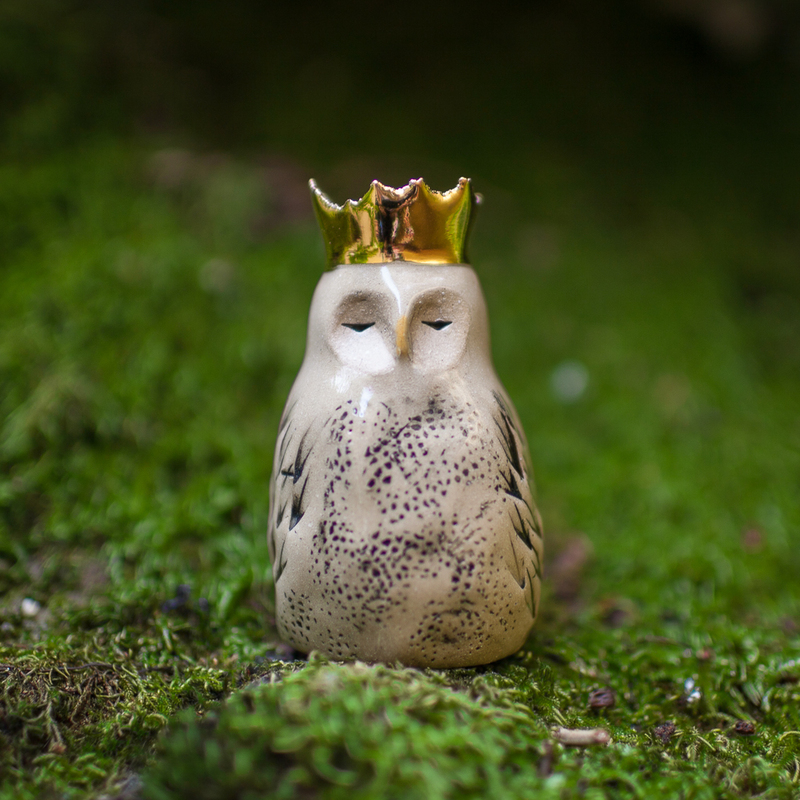 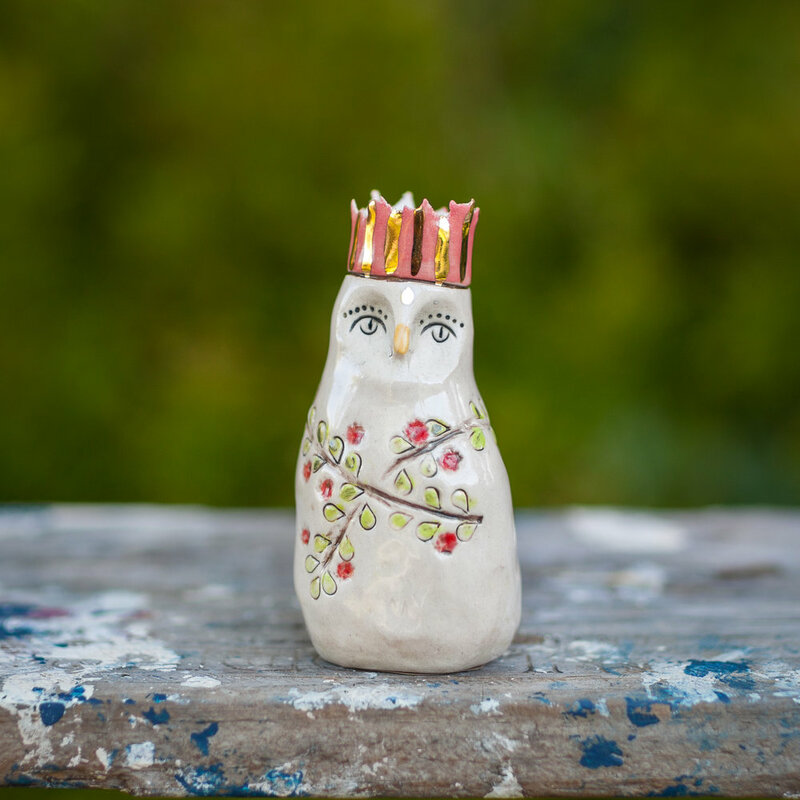 Owls are crafted from a range of mid-fire clay bodies, including porcelain. 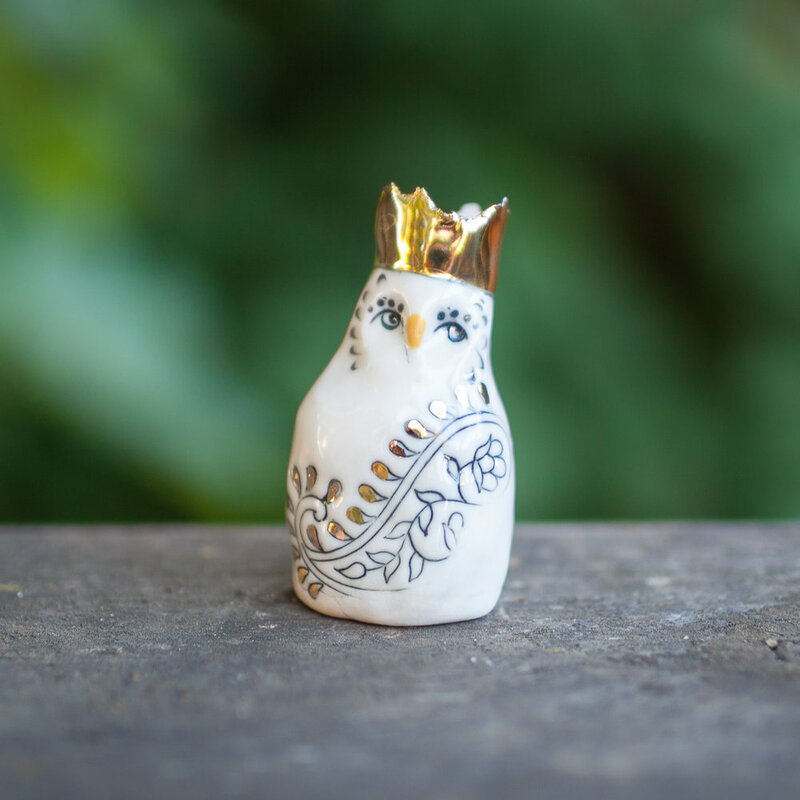 Each piece is approximately 2 - 4 inches high with 22 karat gold luster accents.